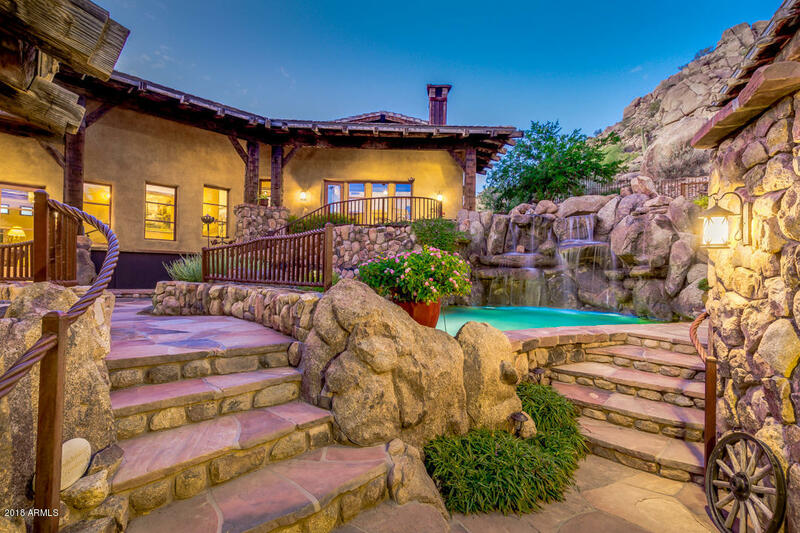 Desert Magic! 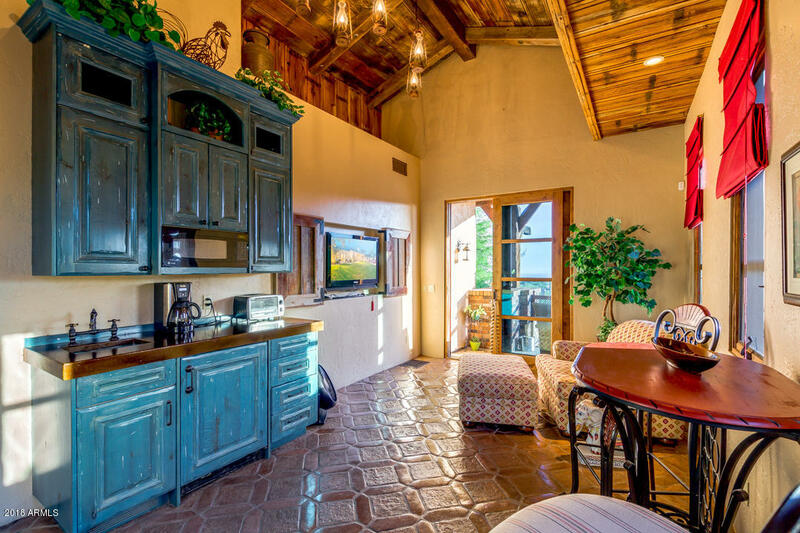 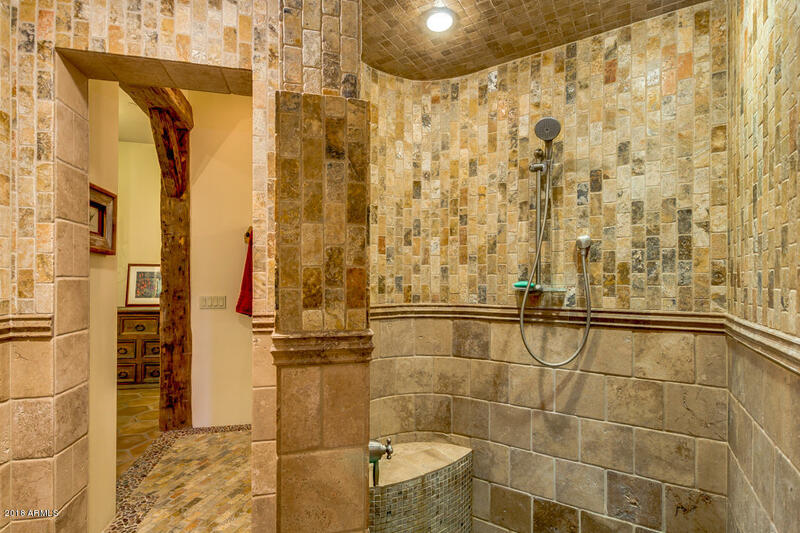 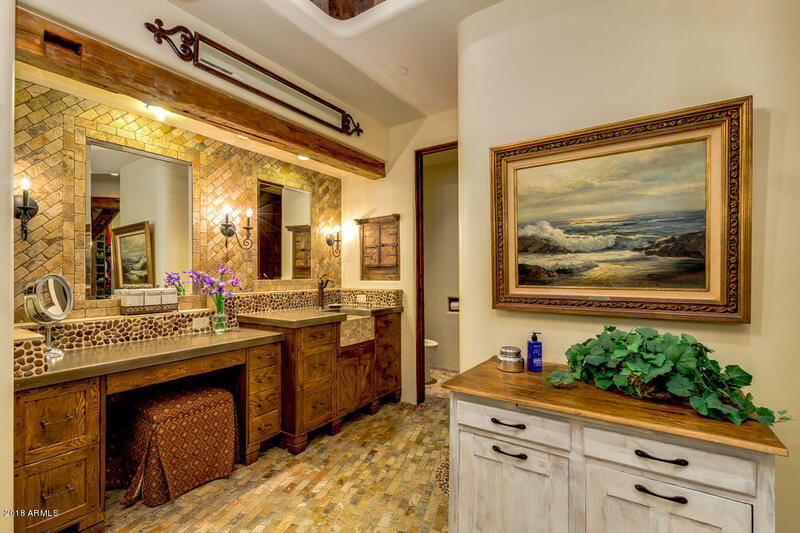 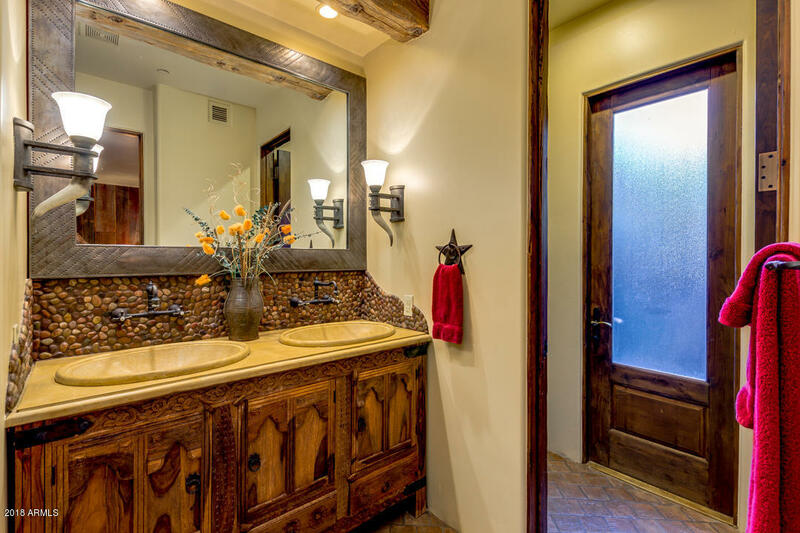 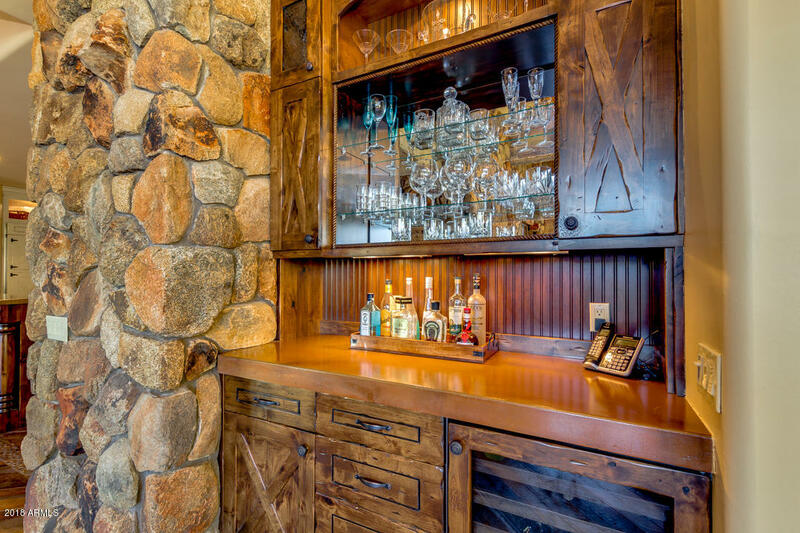 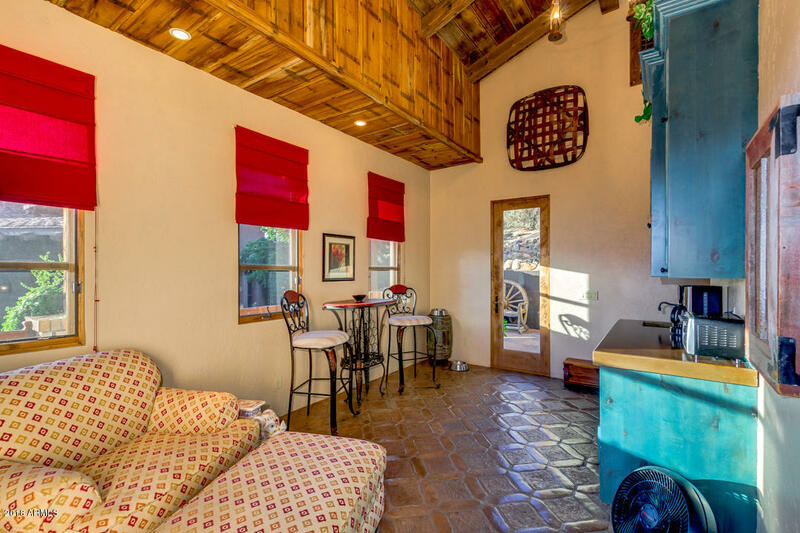 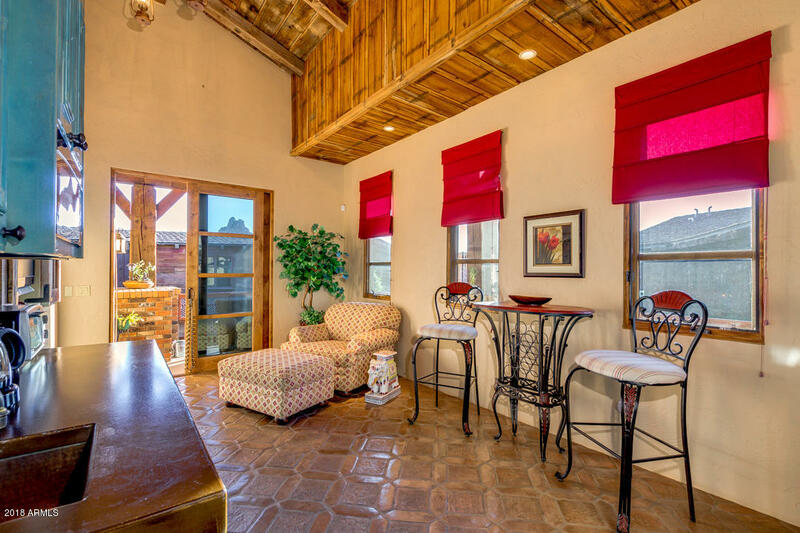 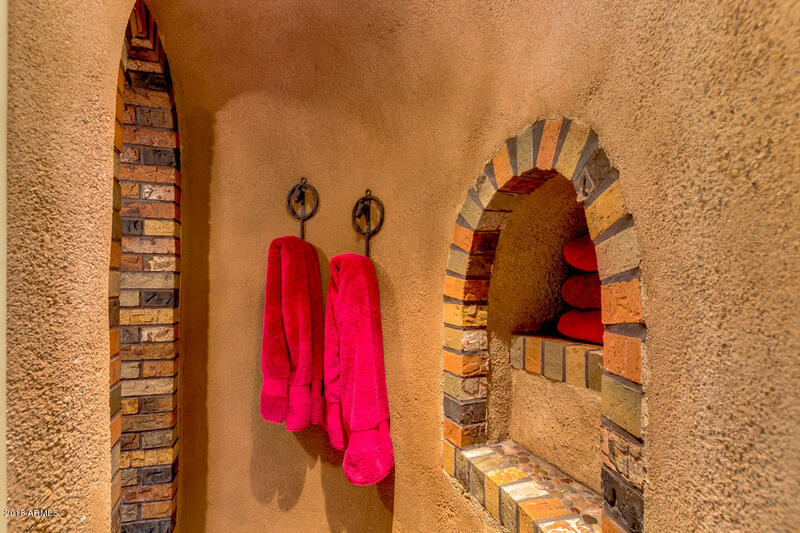 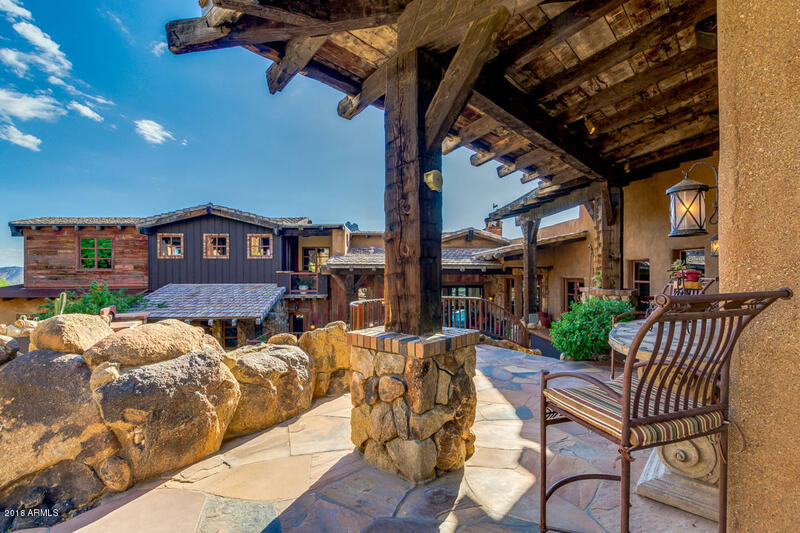 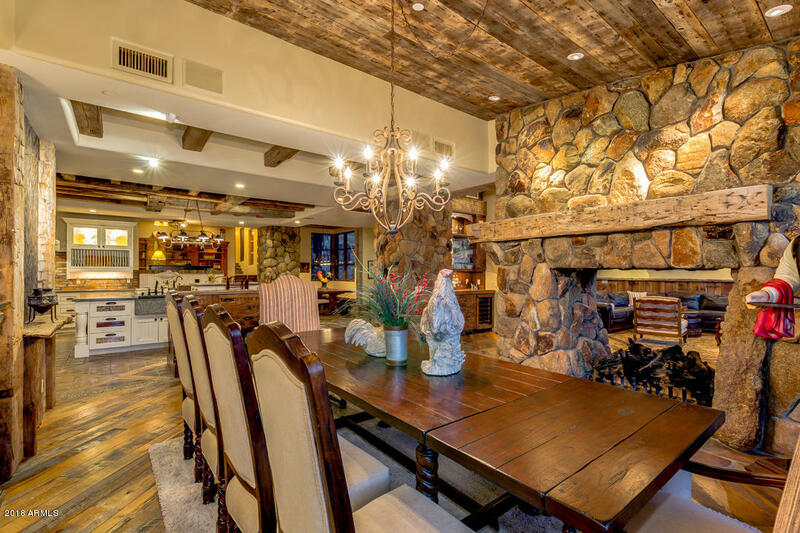 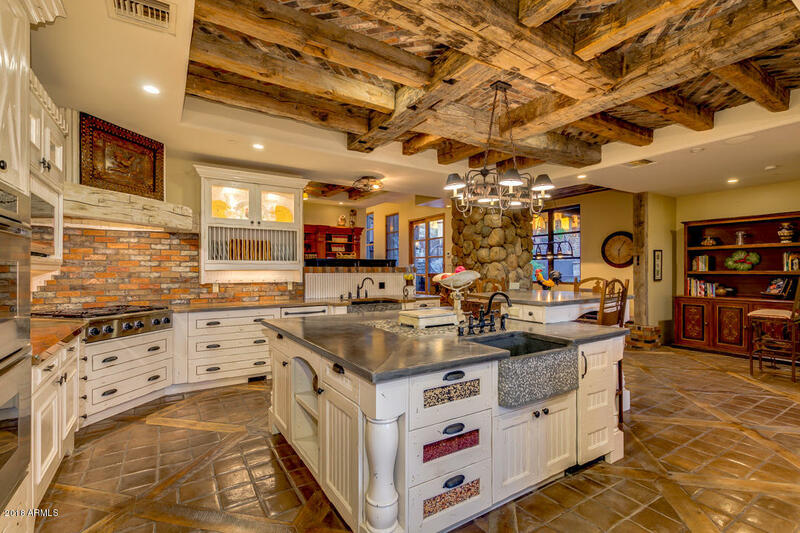 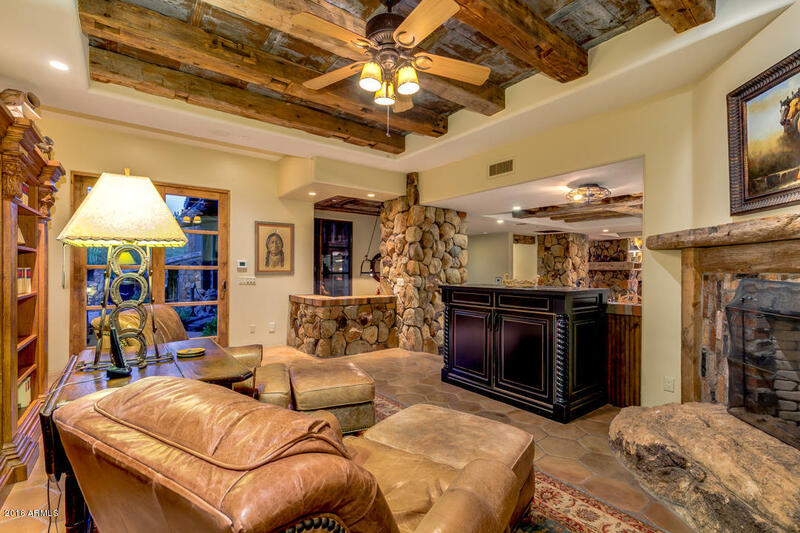 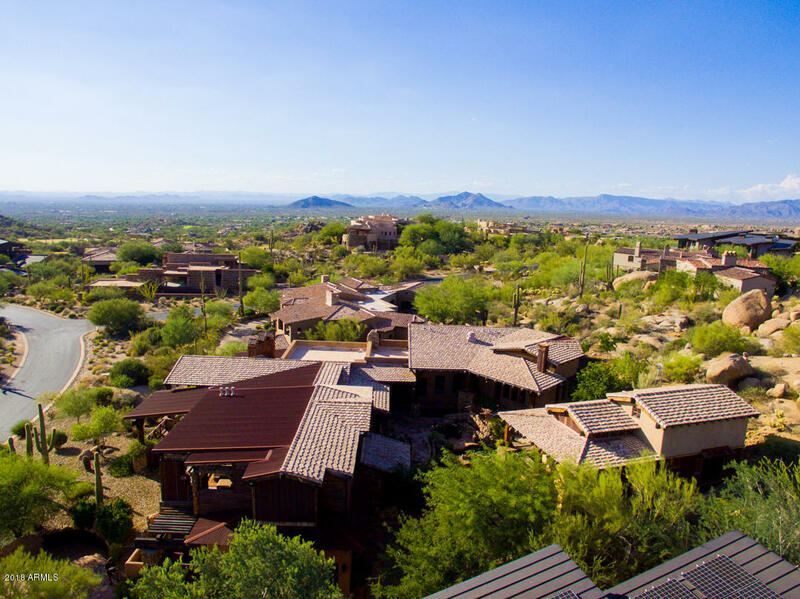 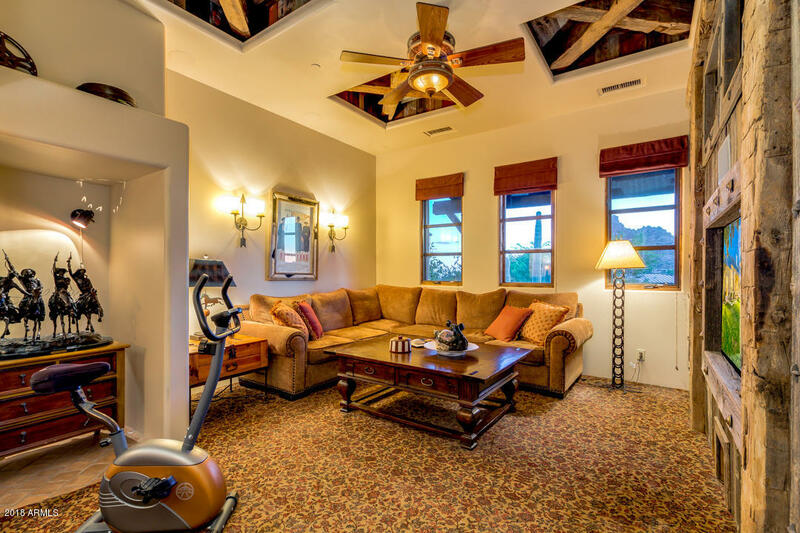 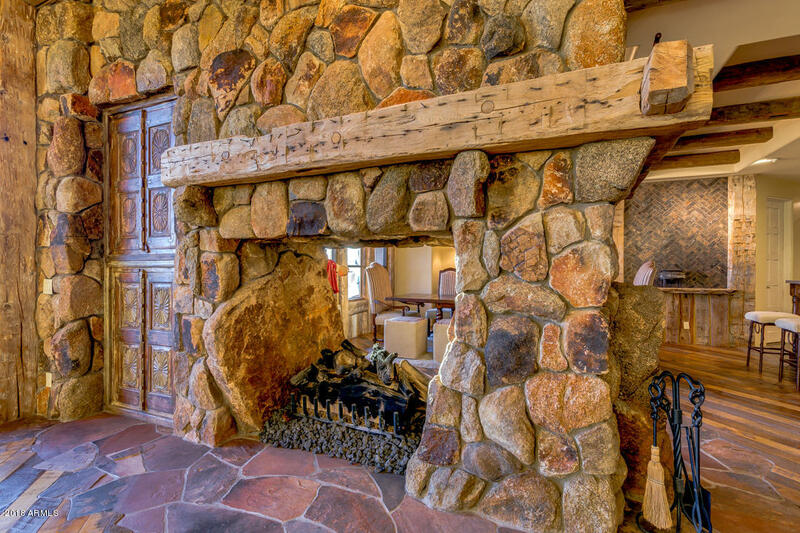 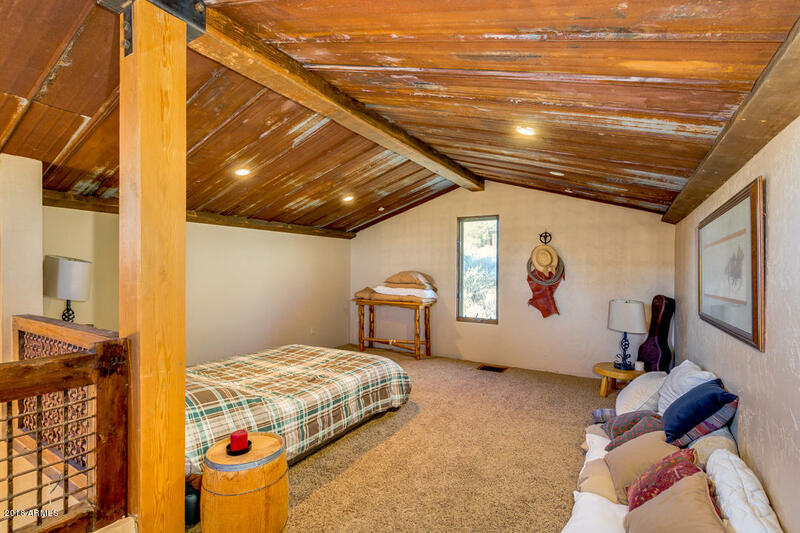 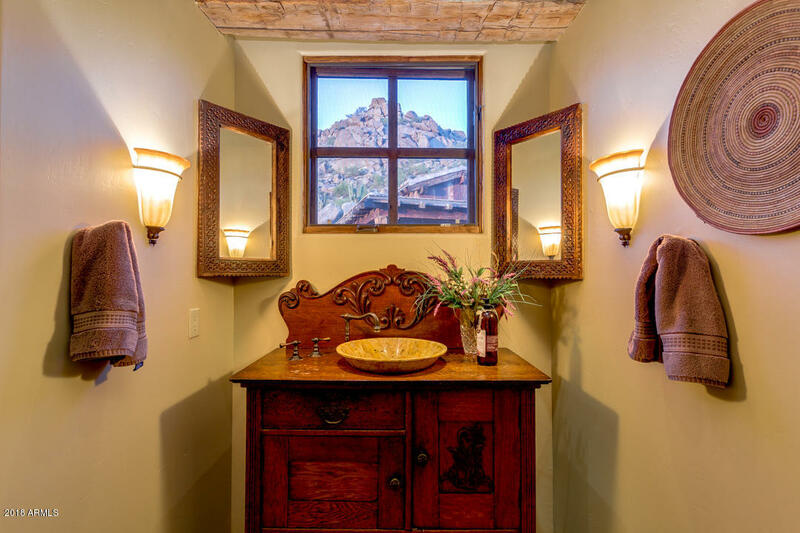 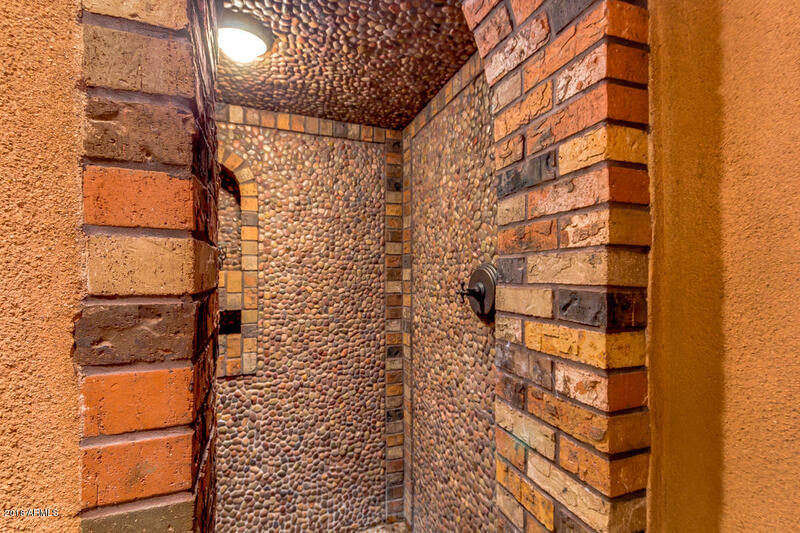 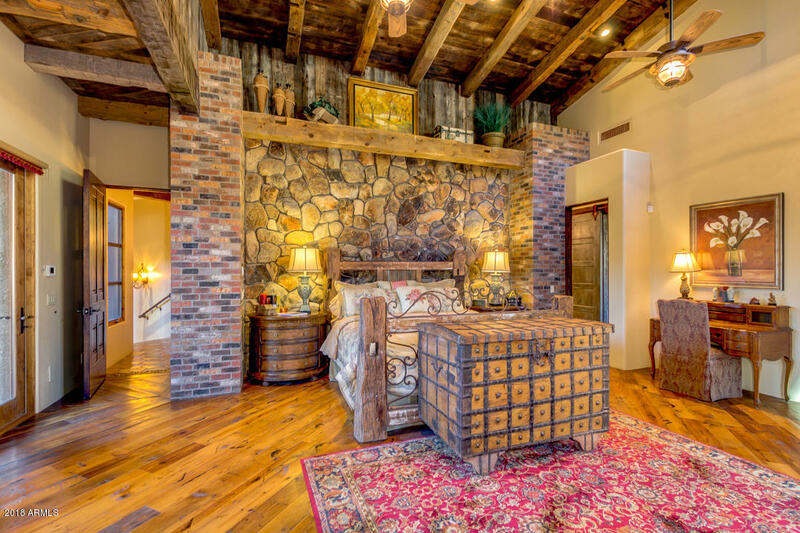 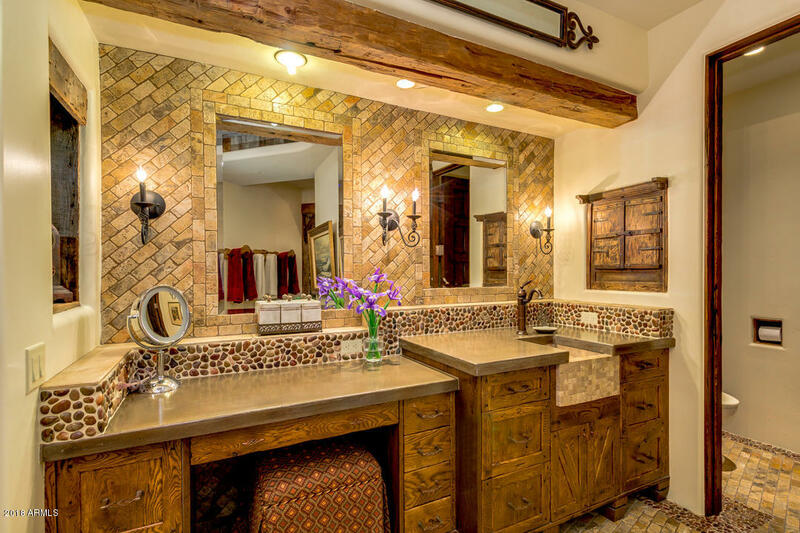 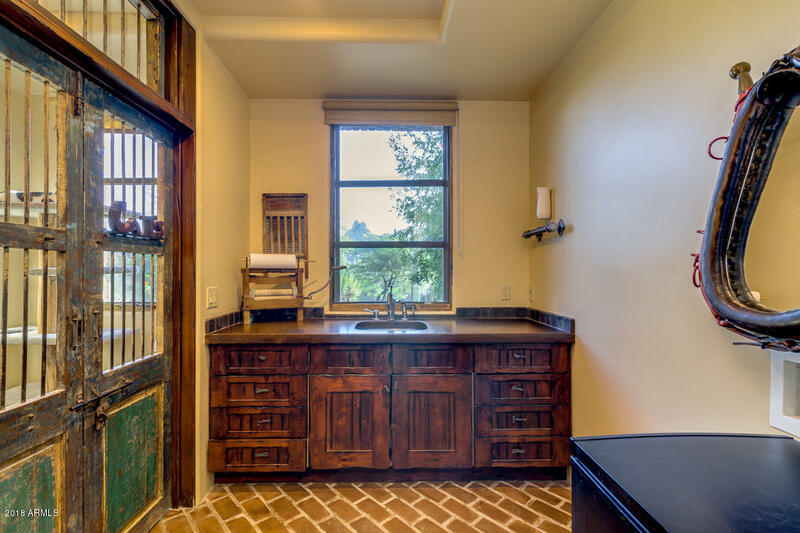 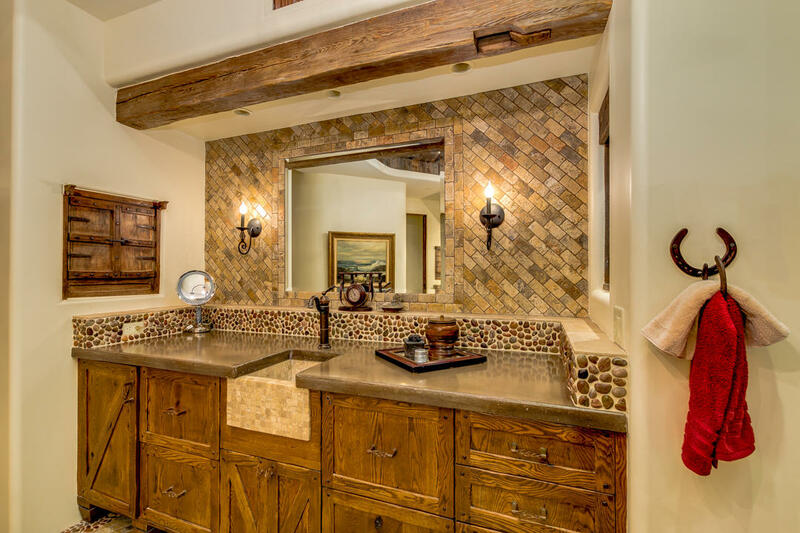 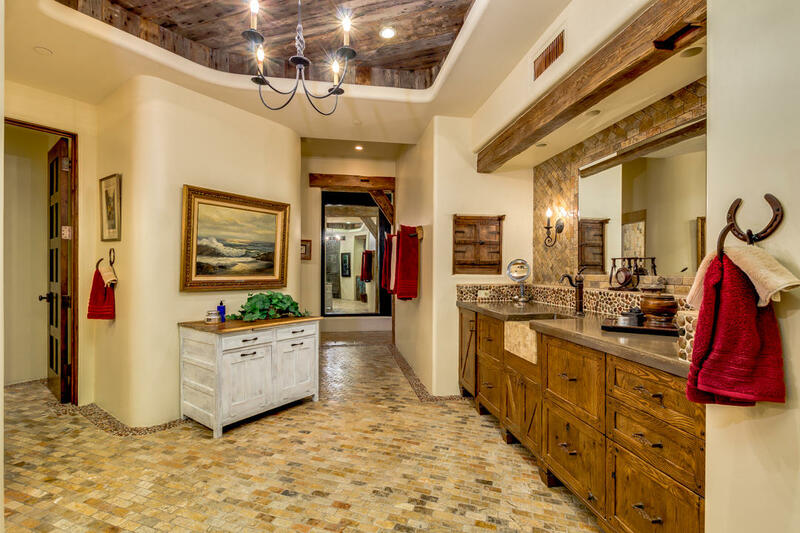 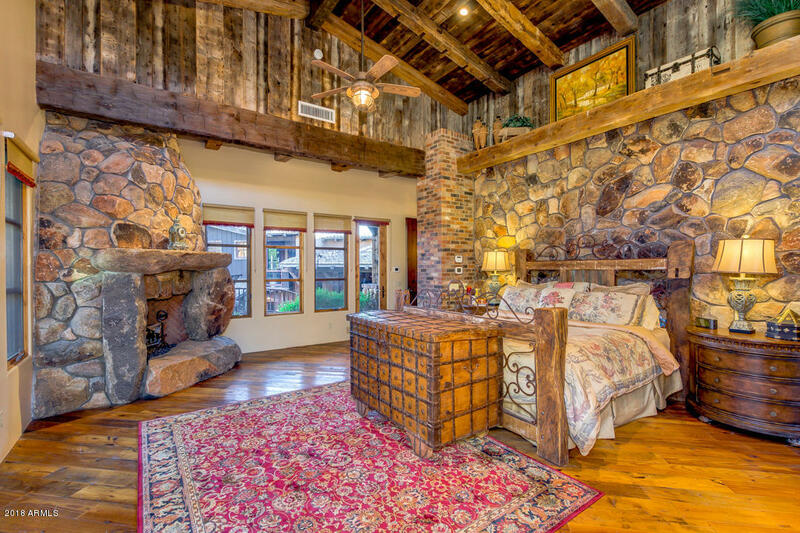 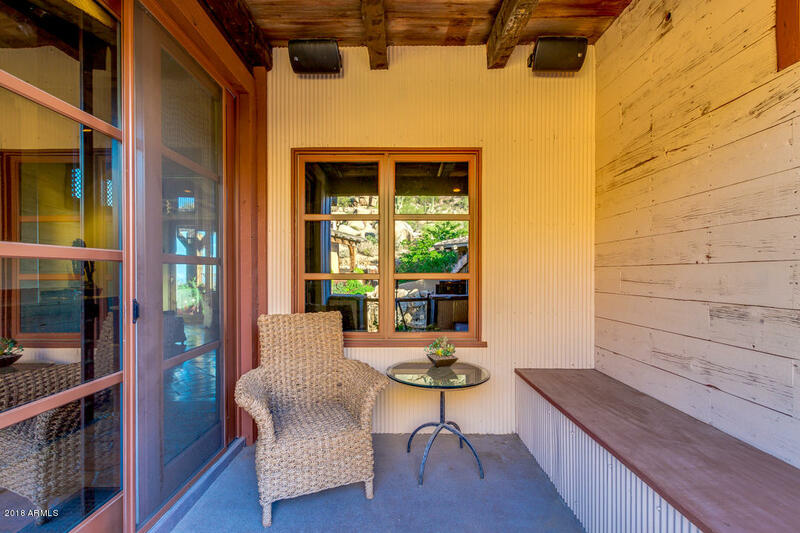 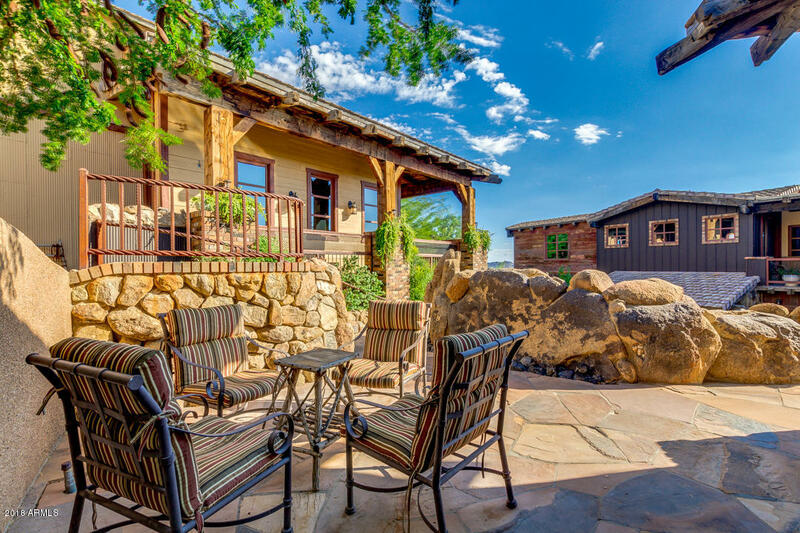 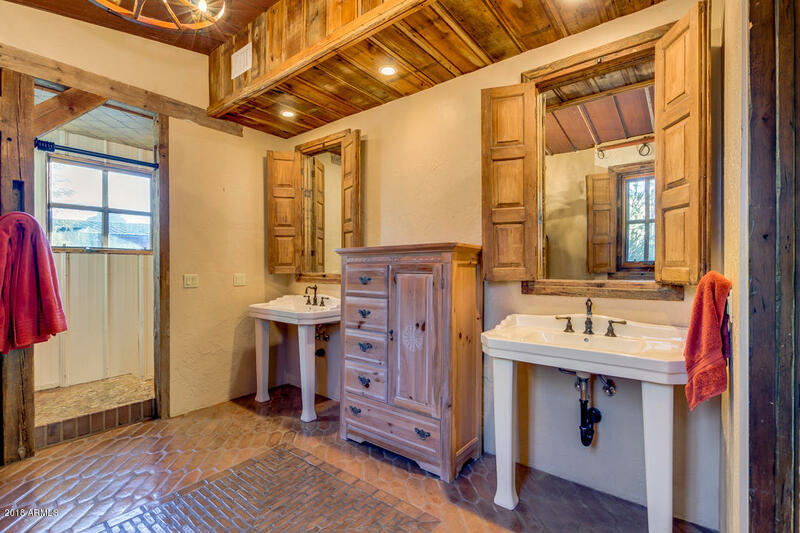 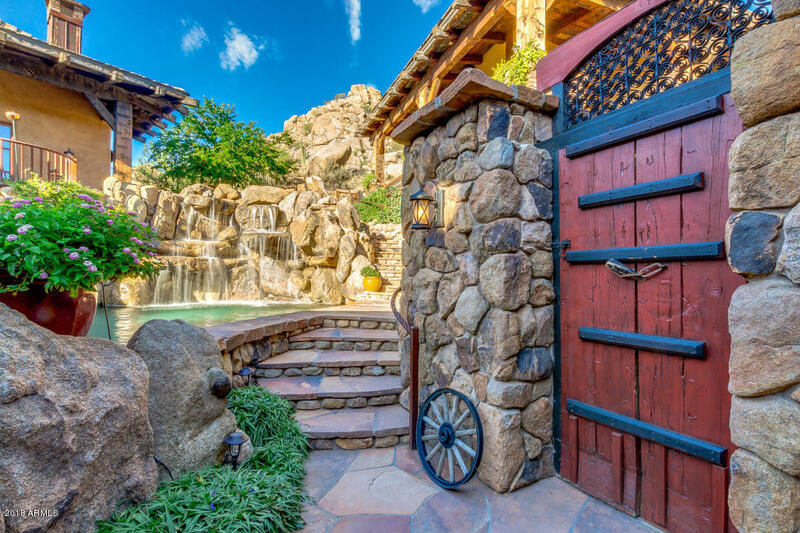 Experience Western resort-style leisure in this elegant, rustic masterpiece. 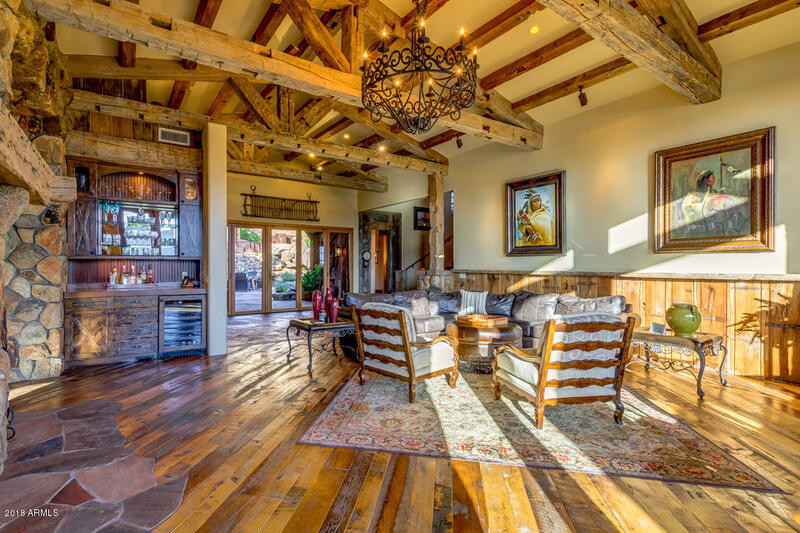 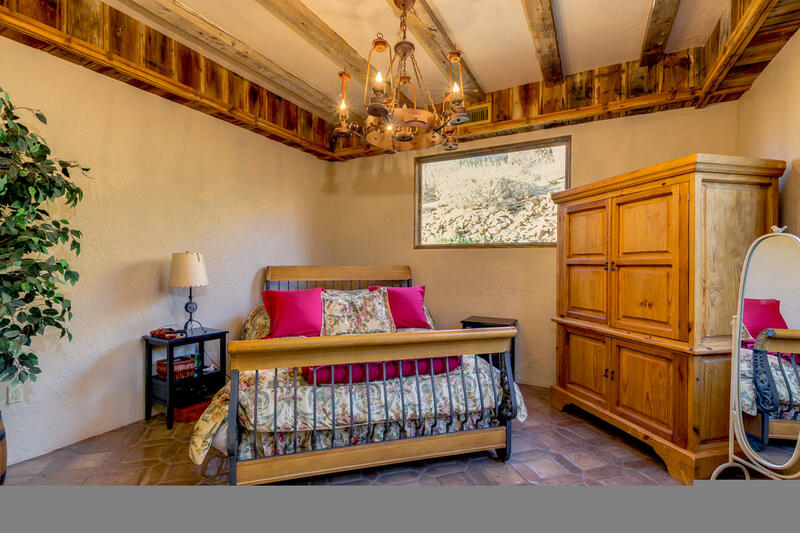 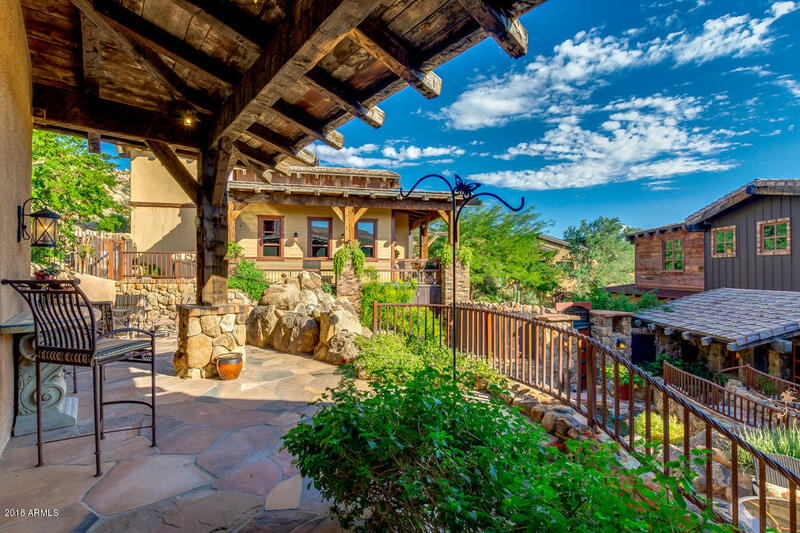 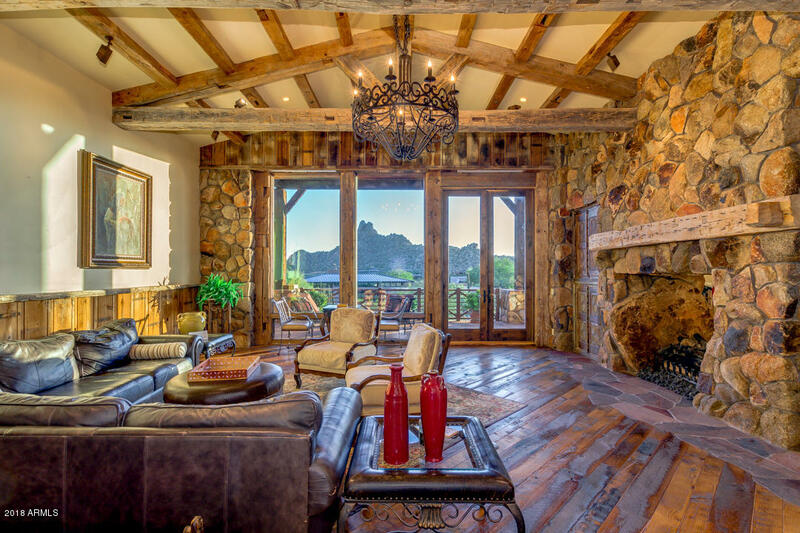 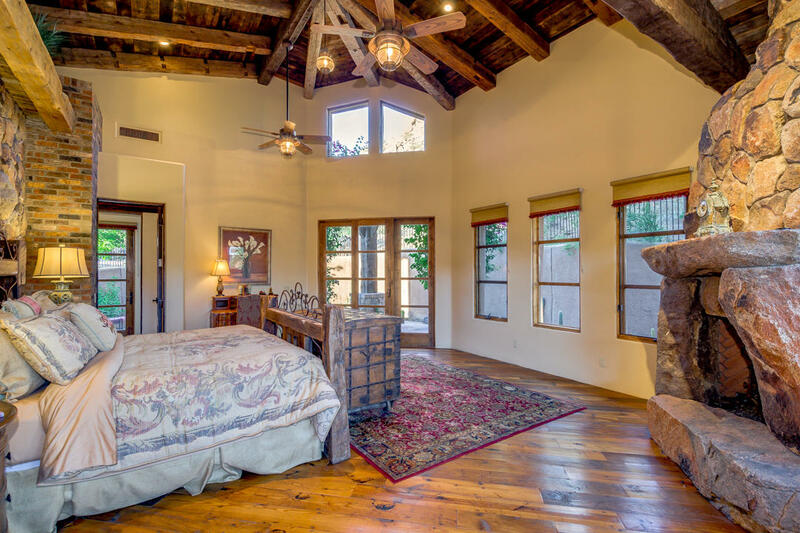 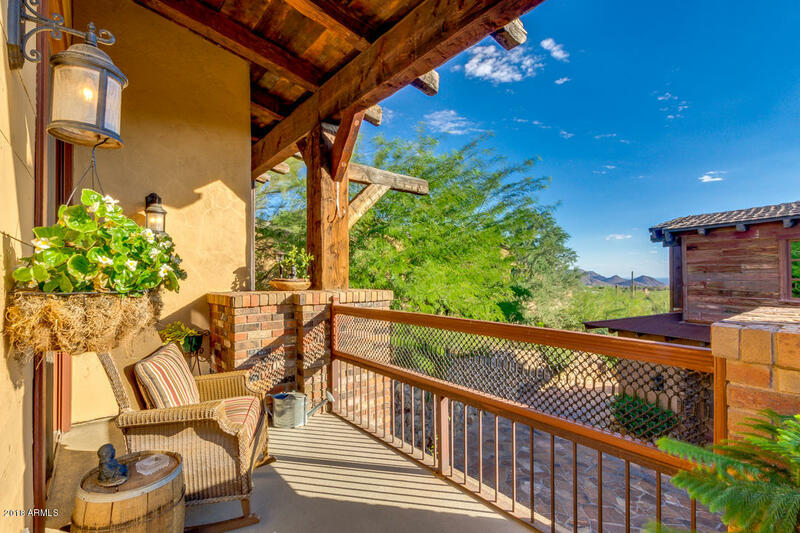 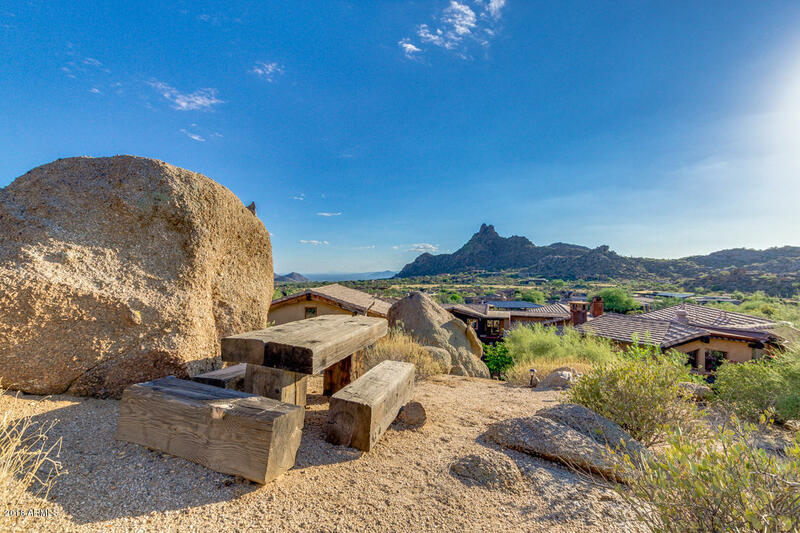 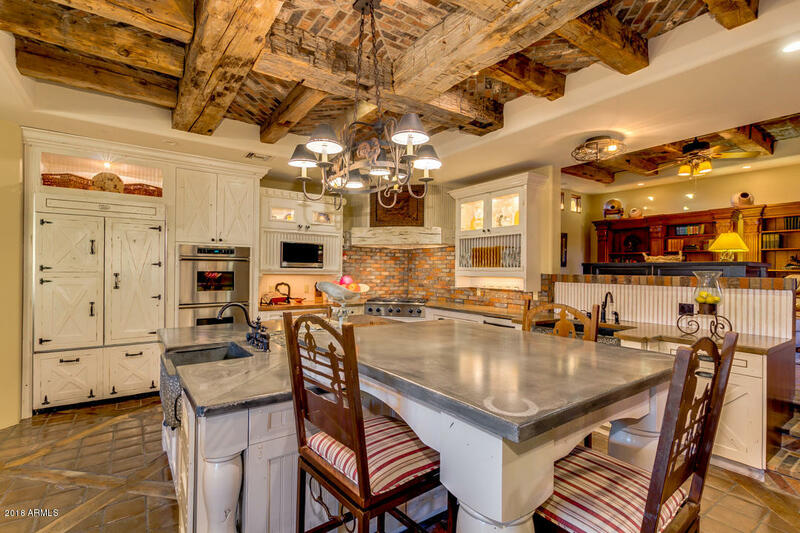 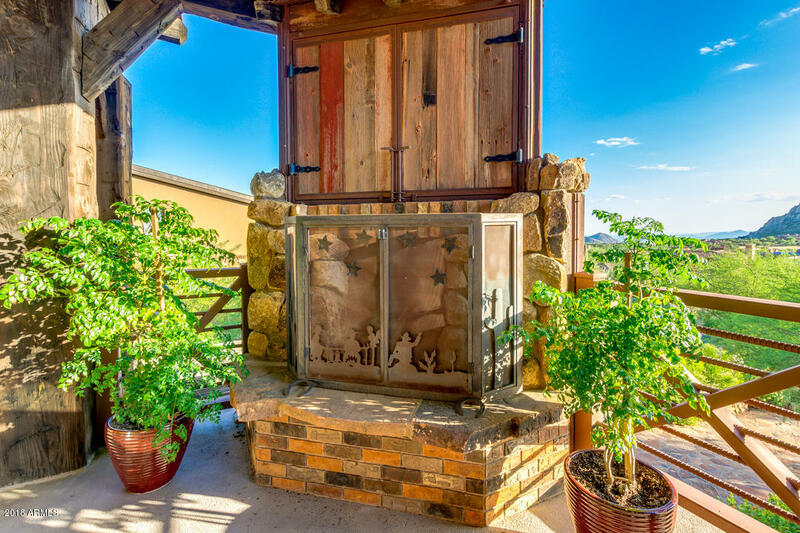 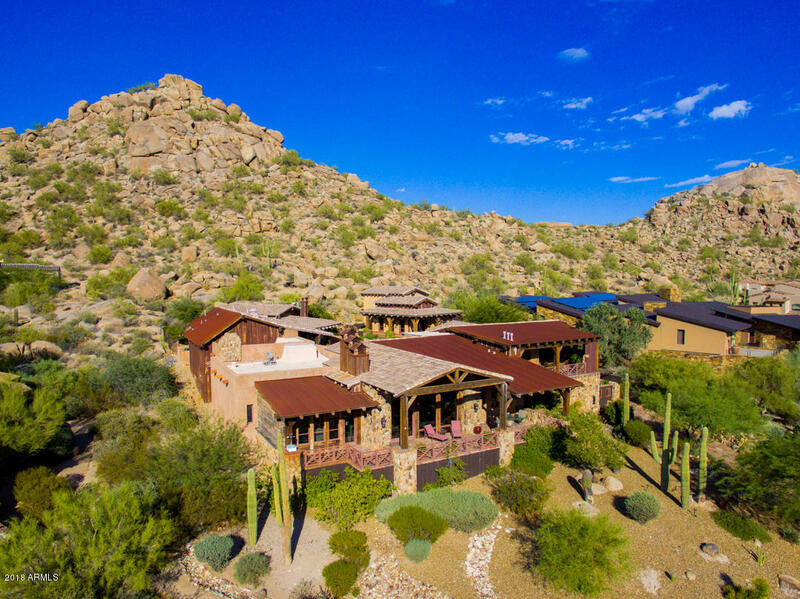 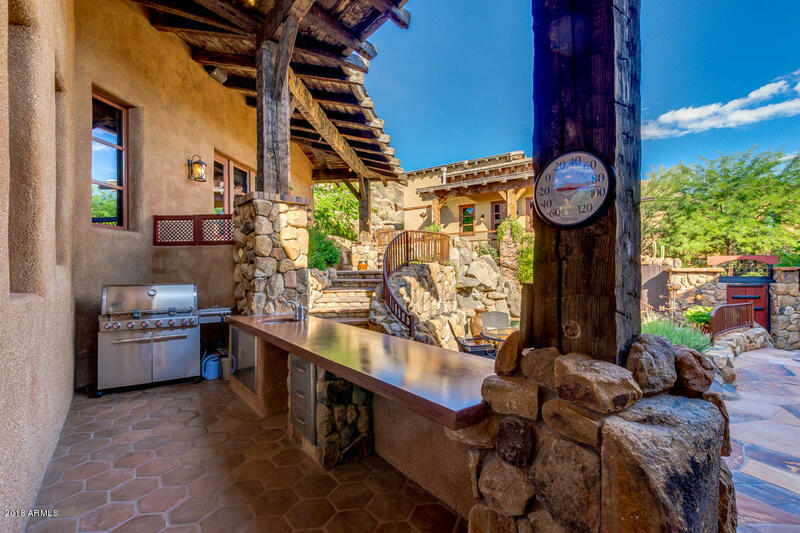 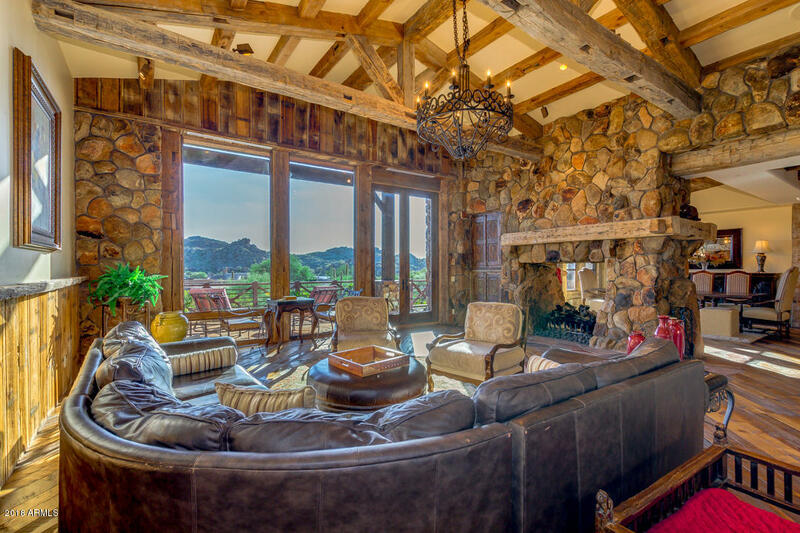 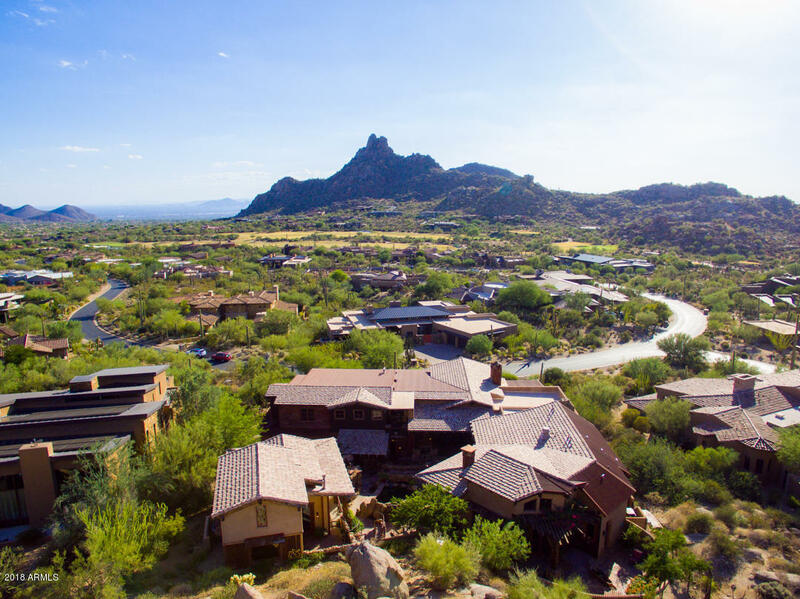 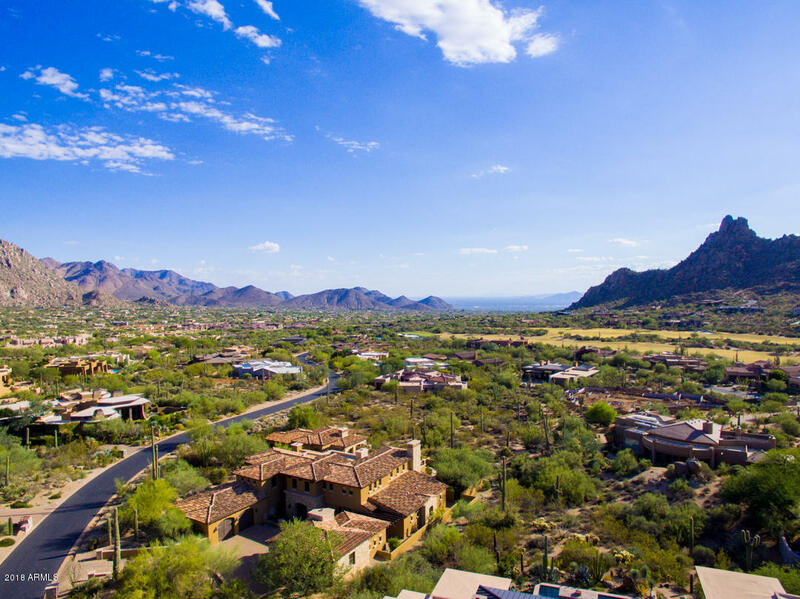 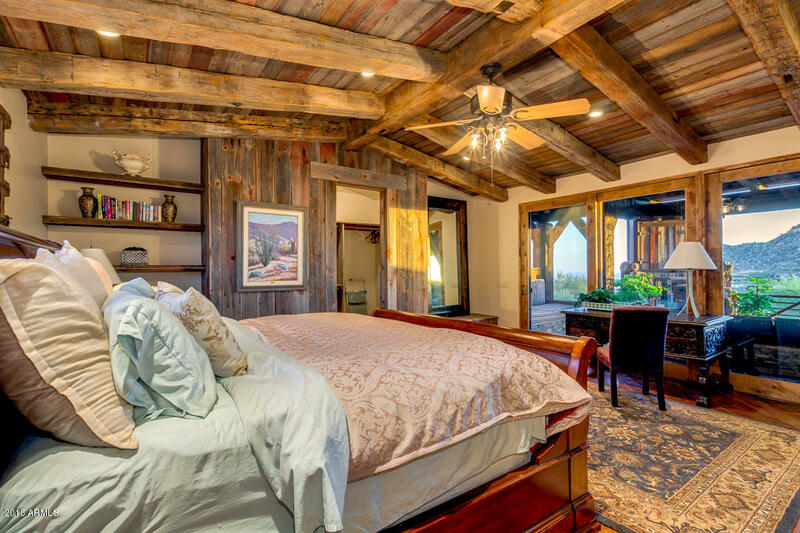 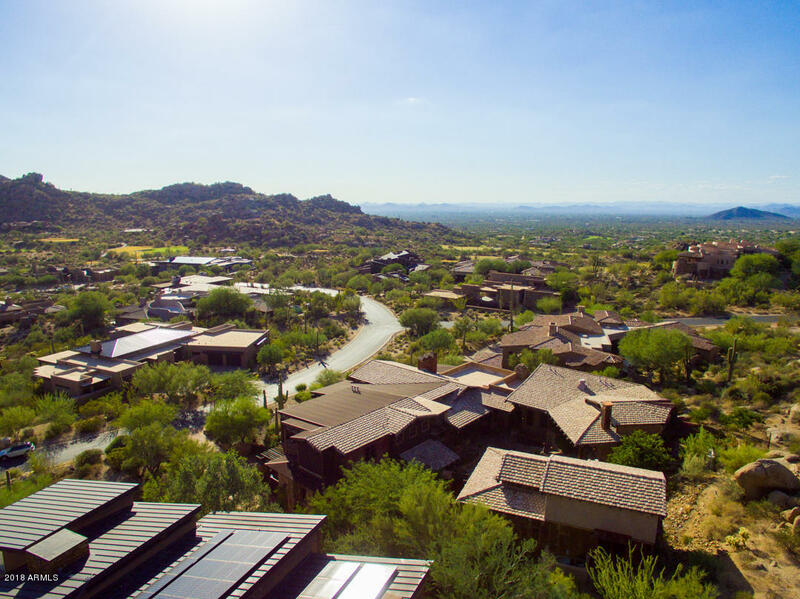 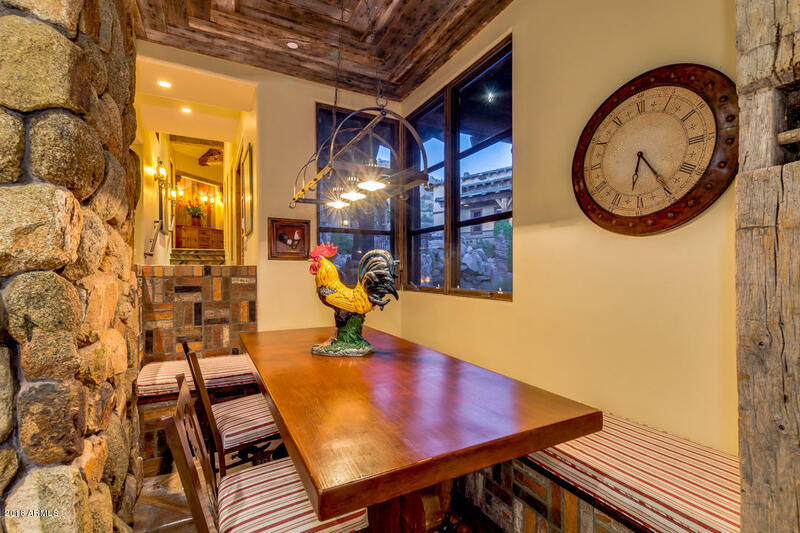 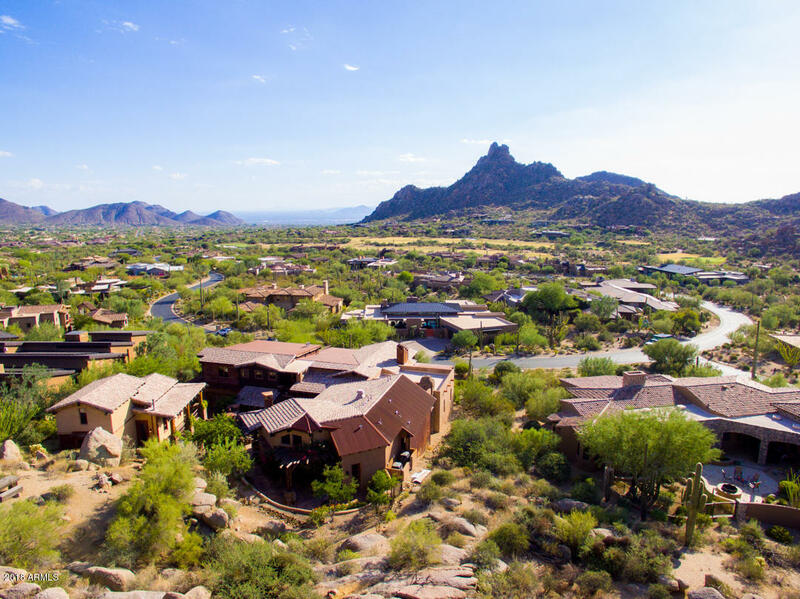 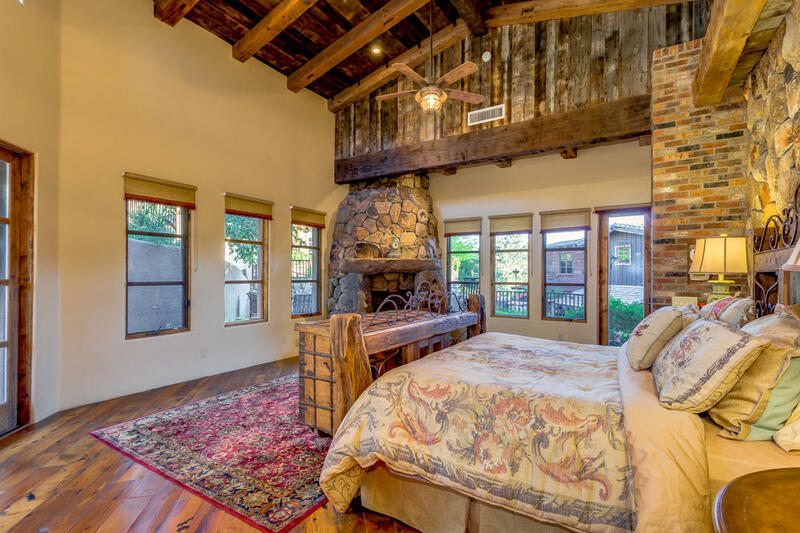 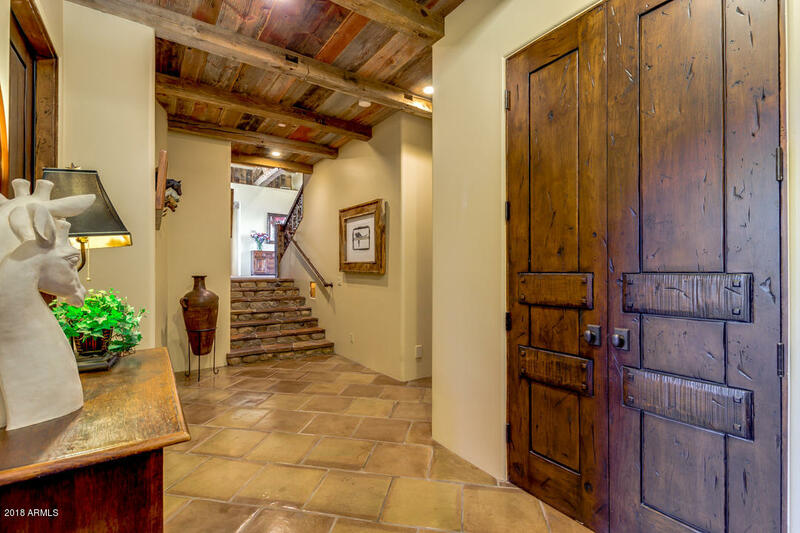 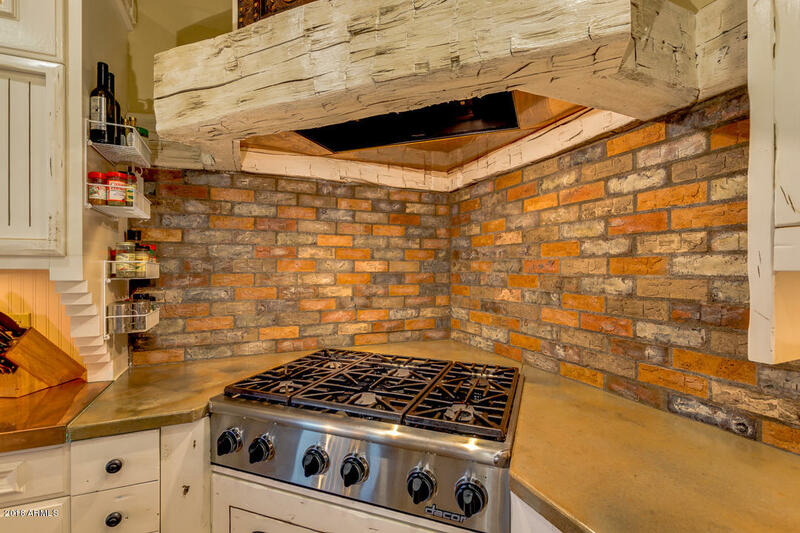 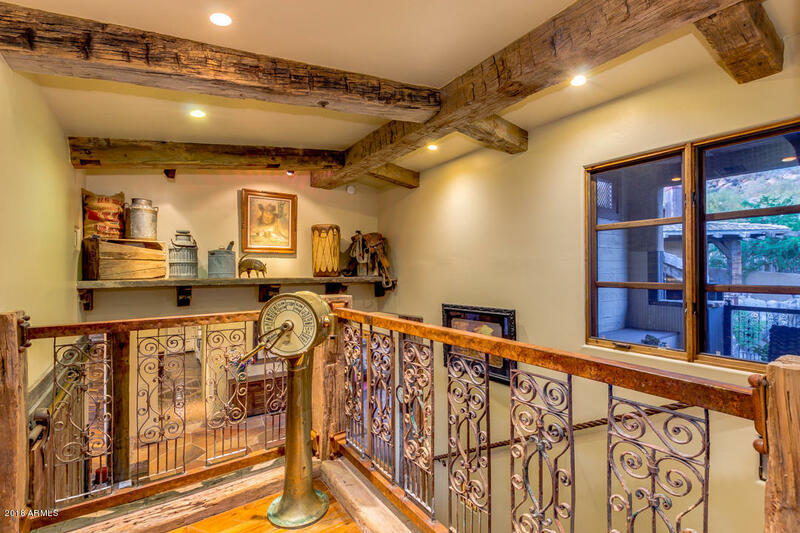 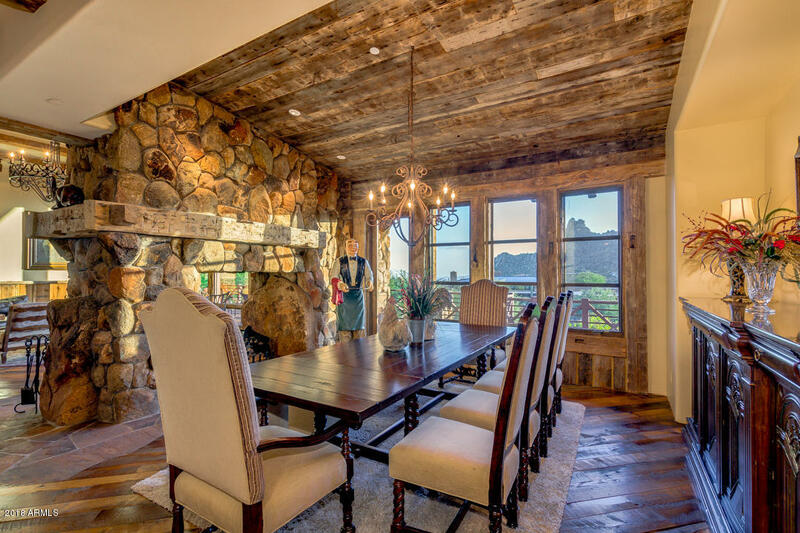 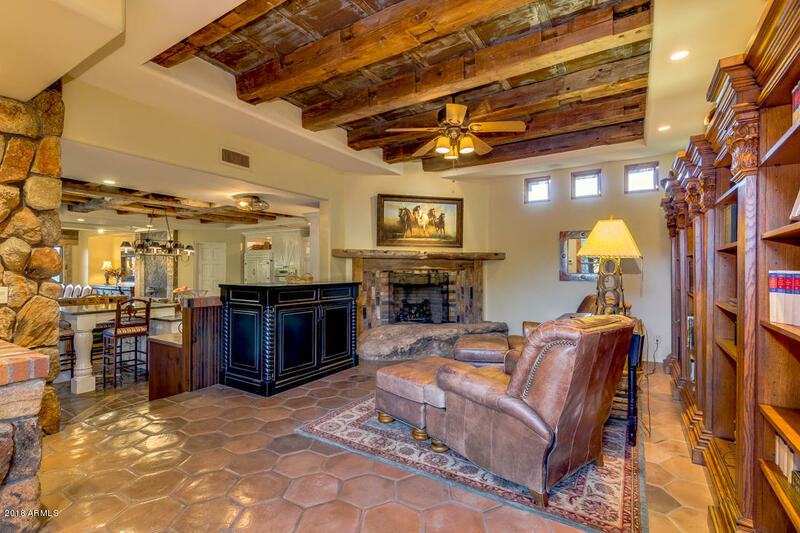 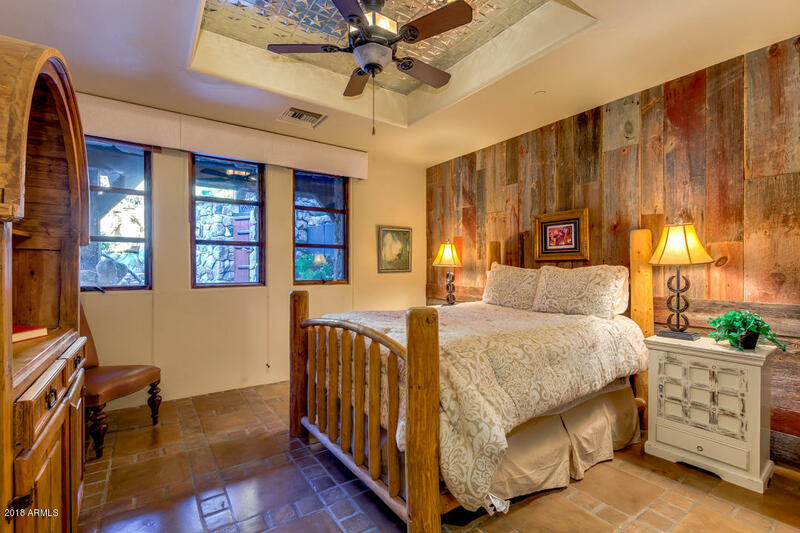 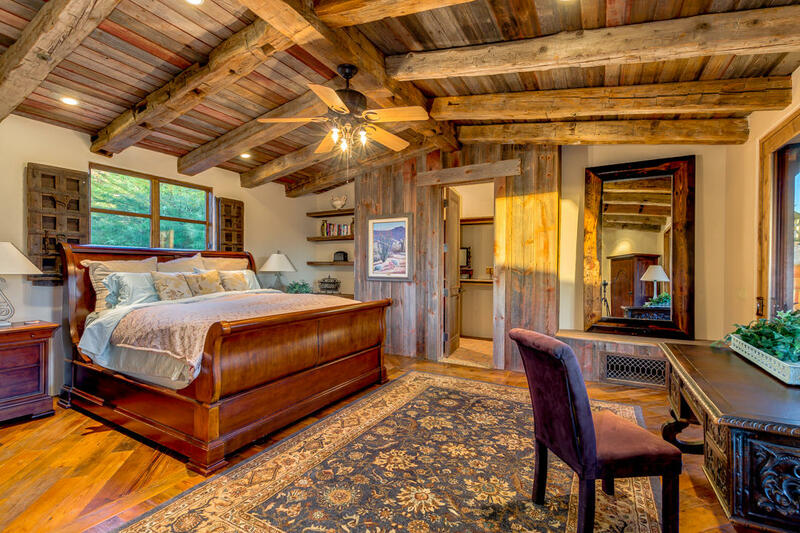 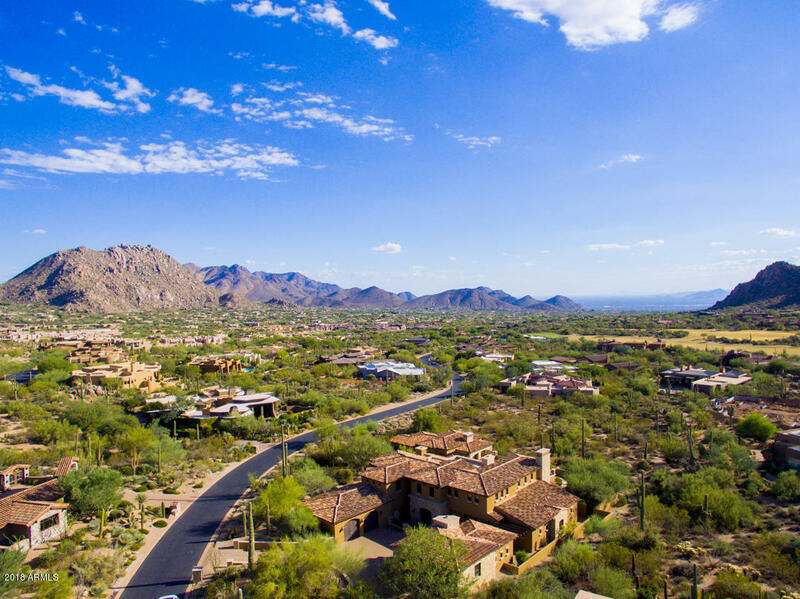 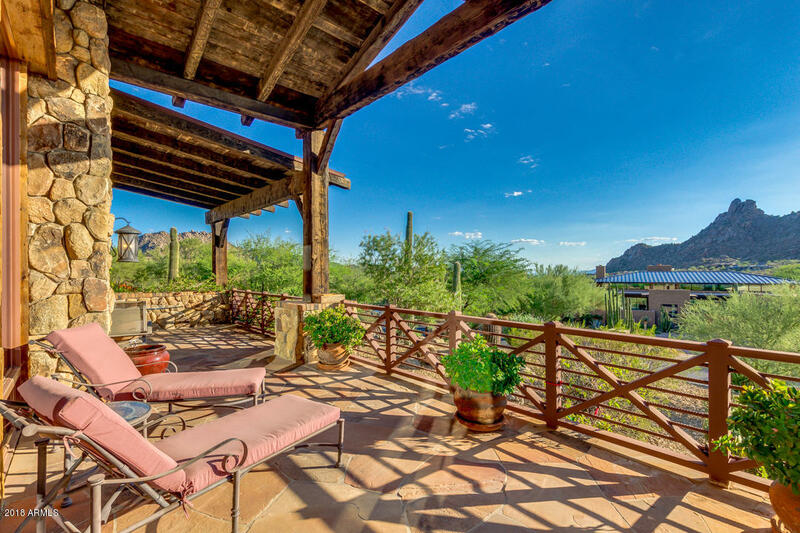 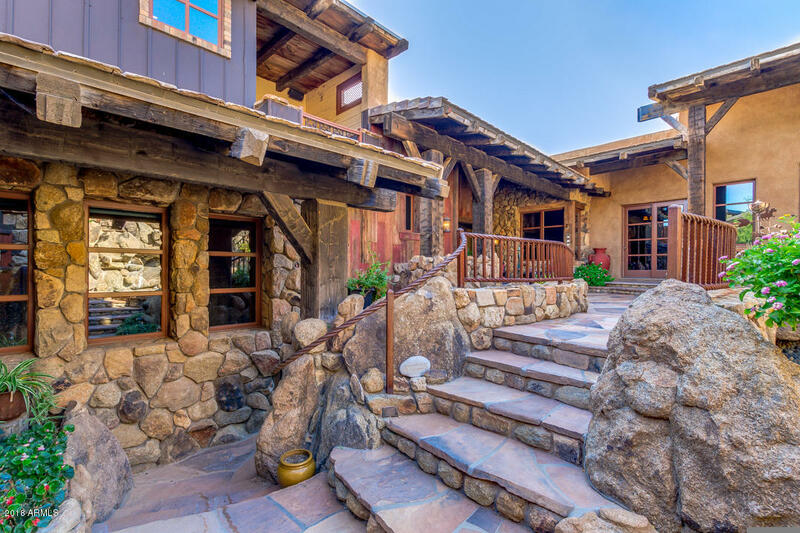 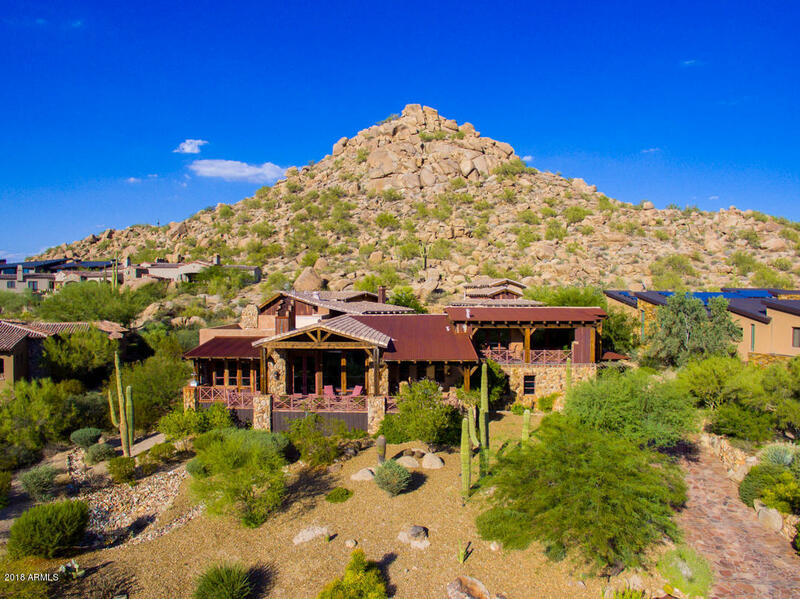 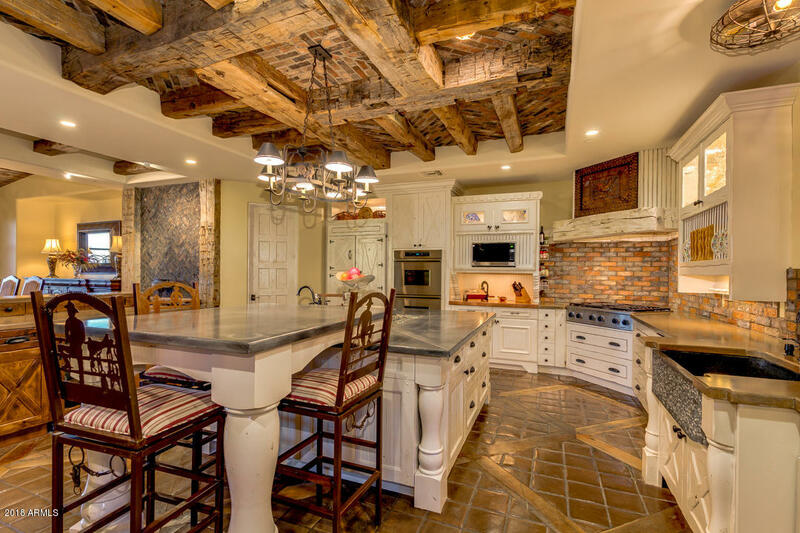 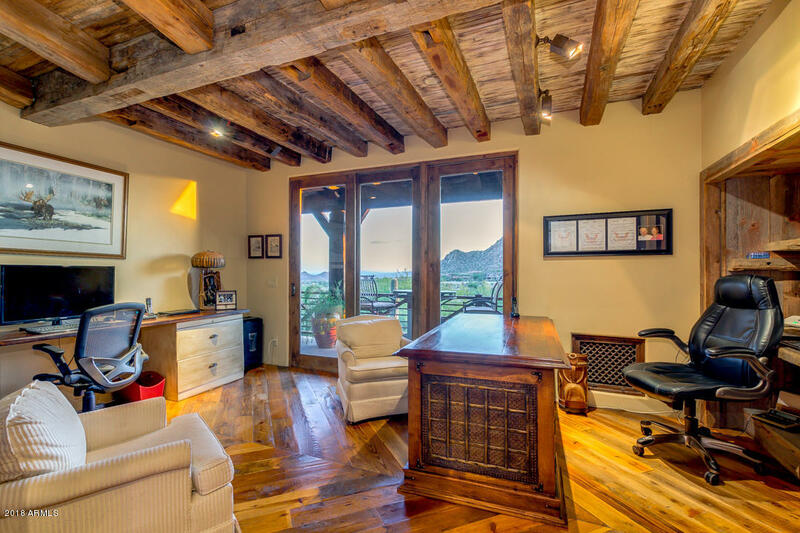 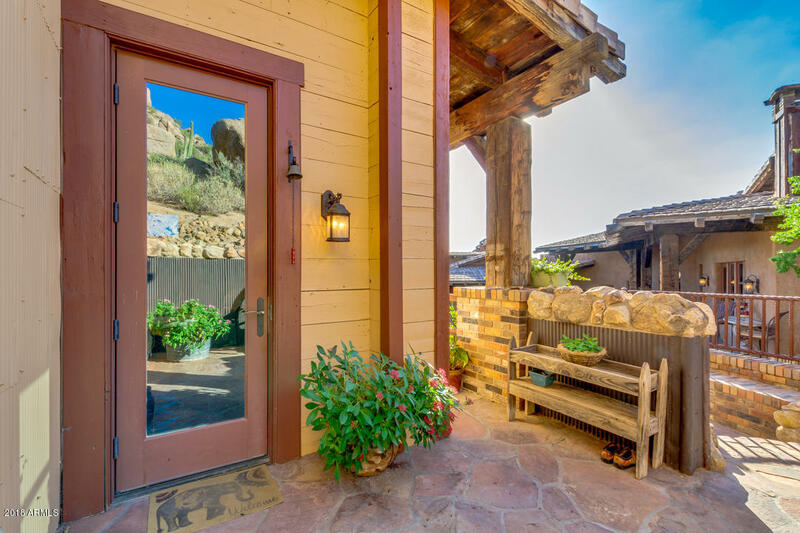 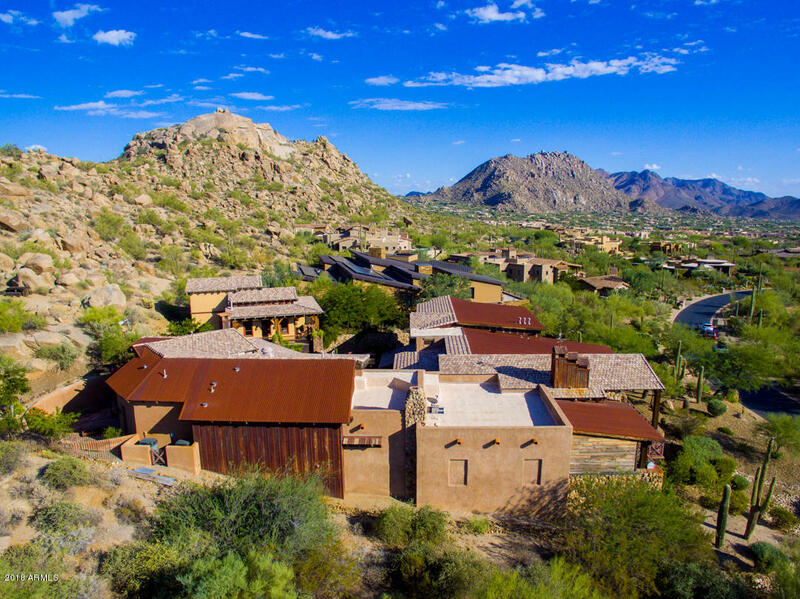 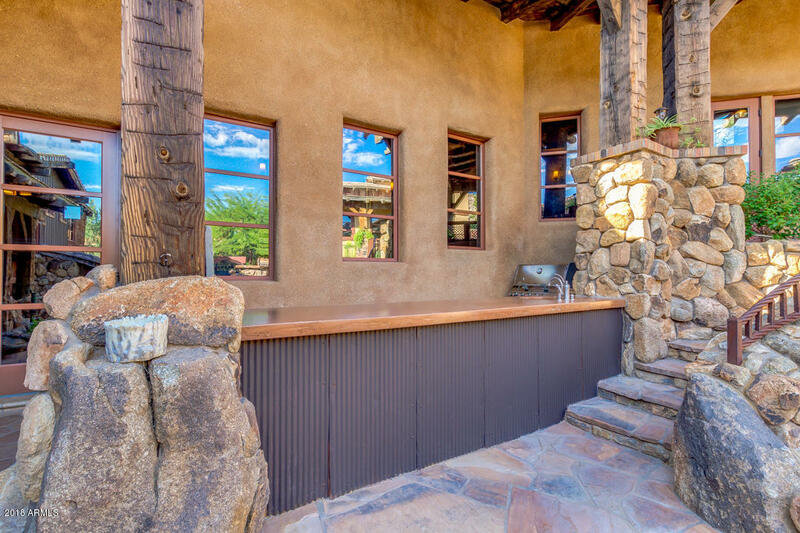 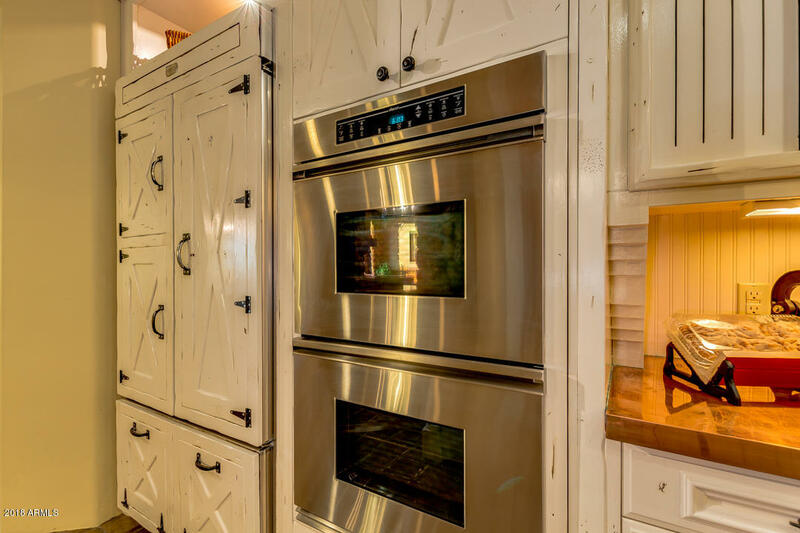 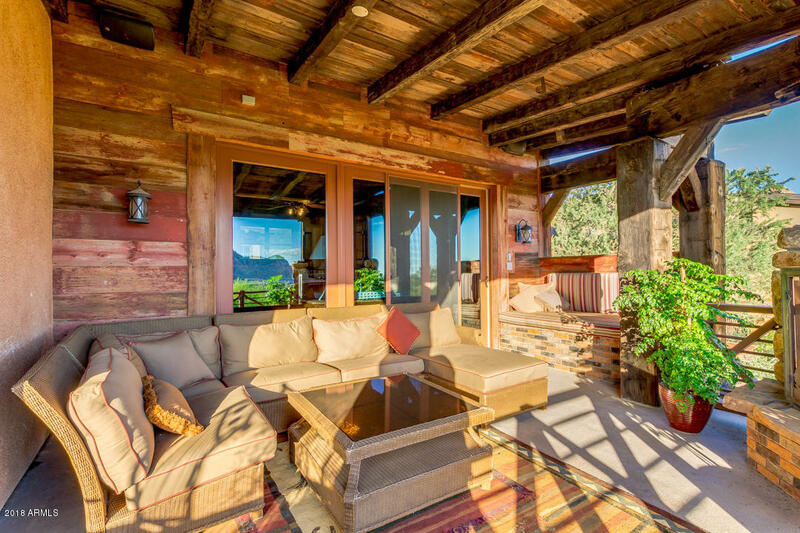 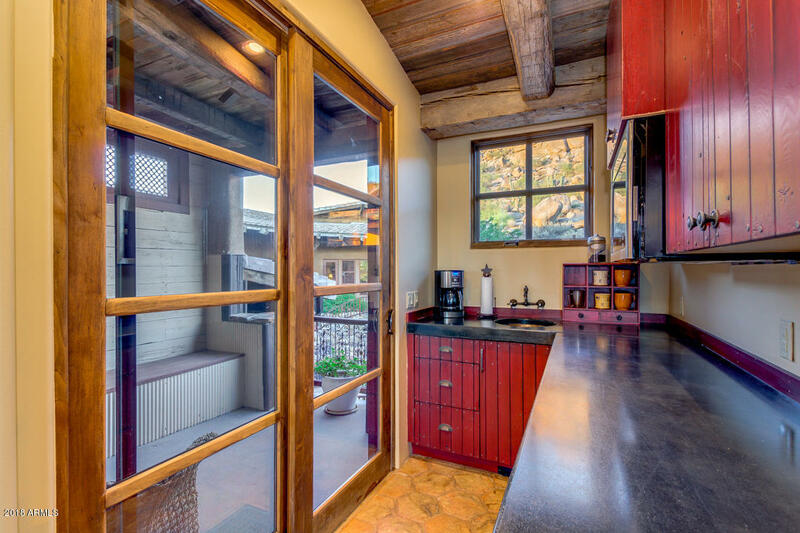 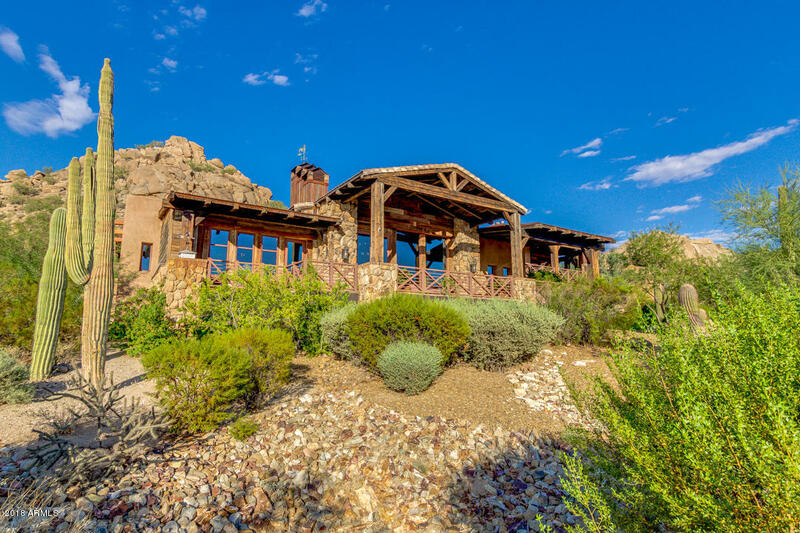 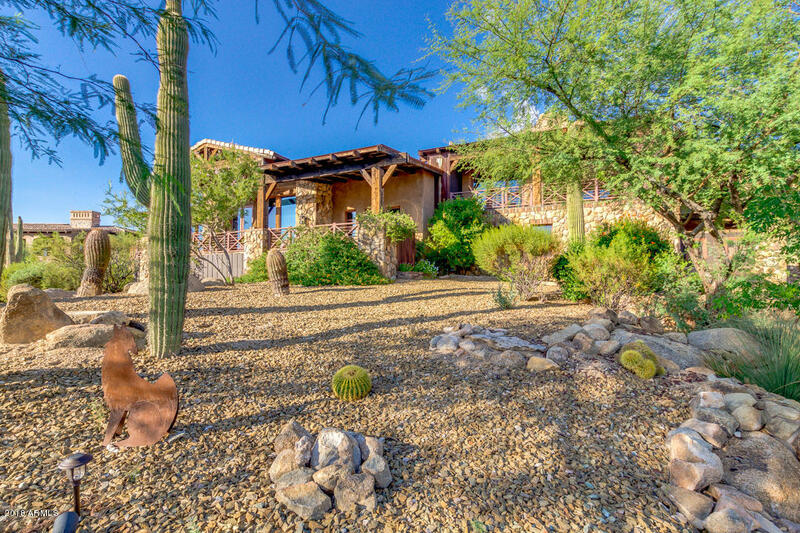 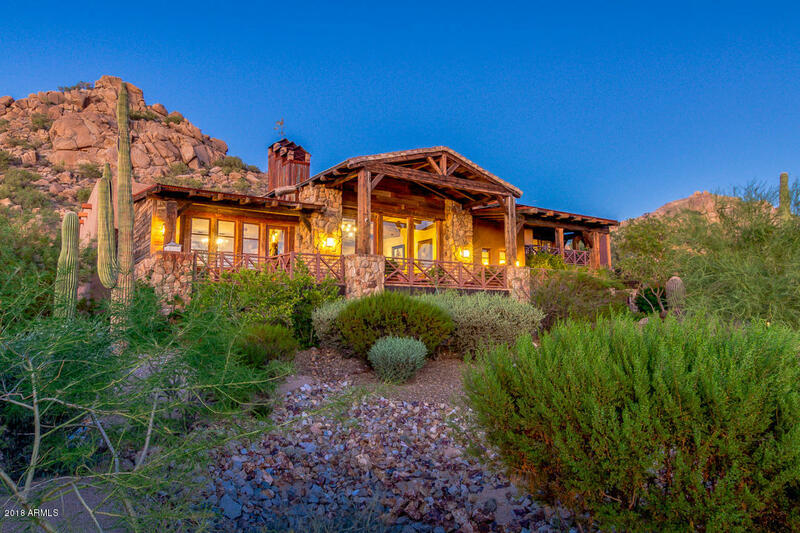 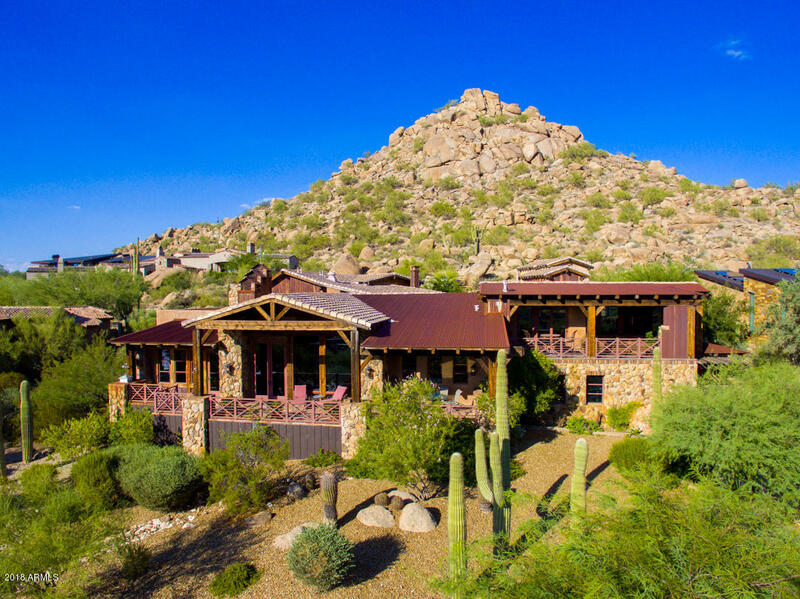 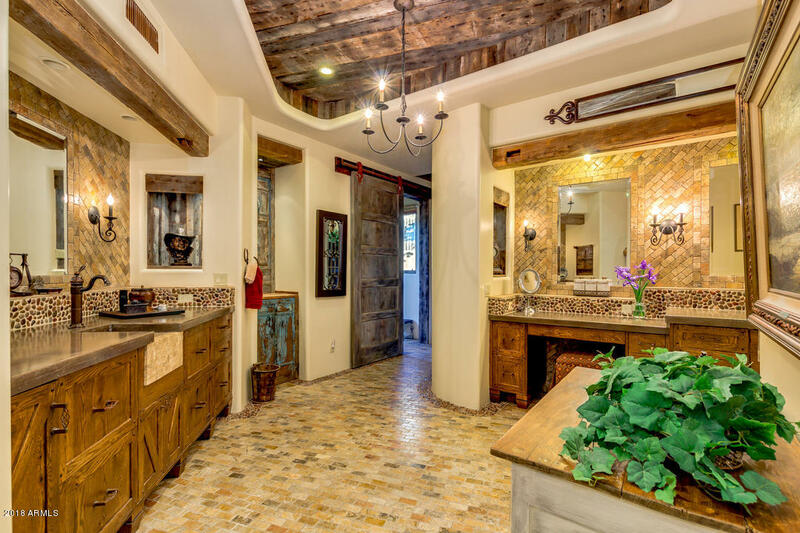 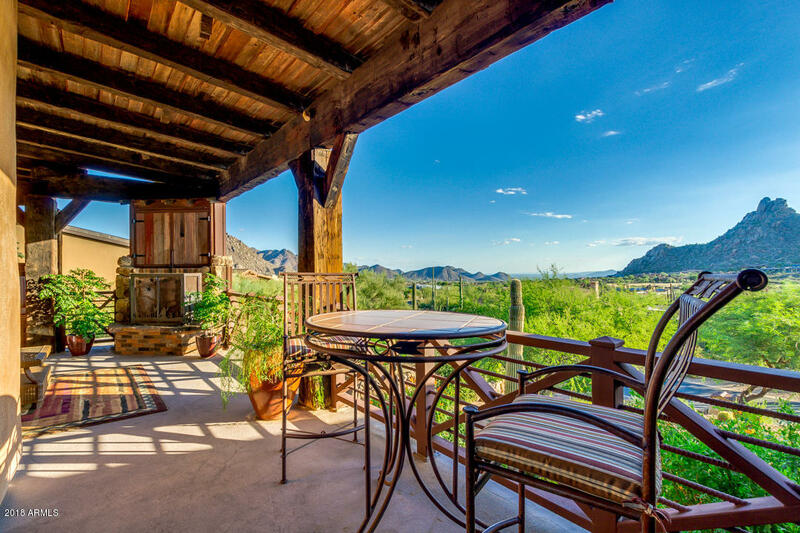 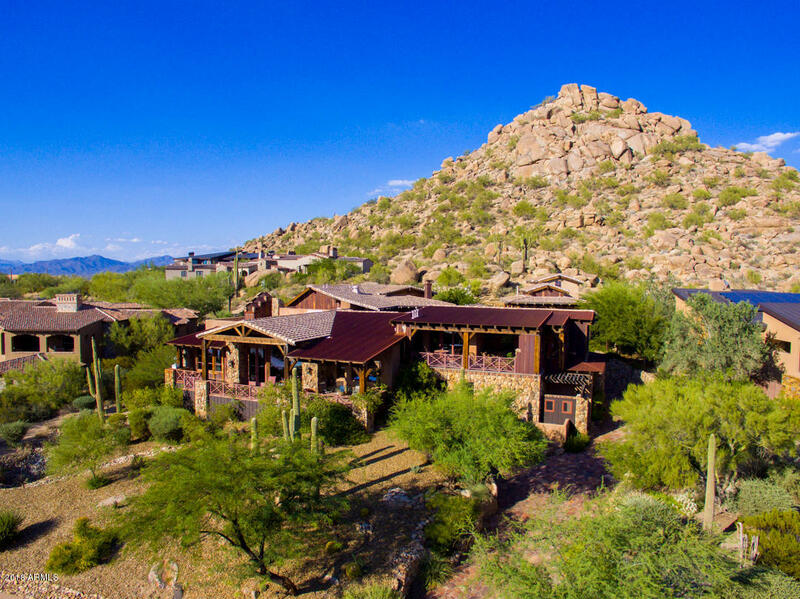 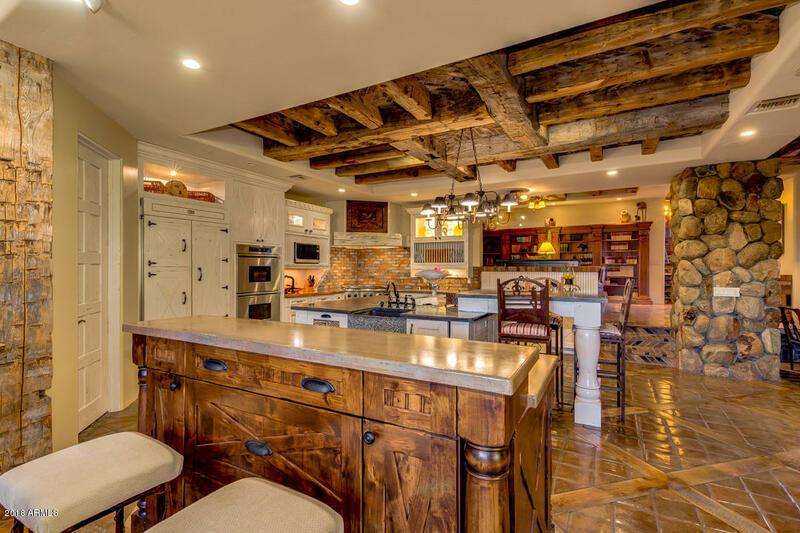 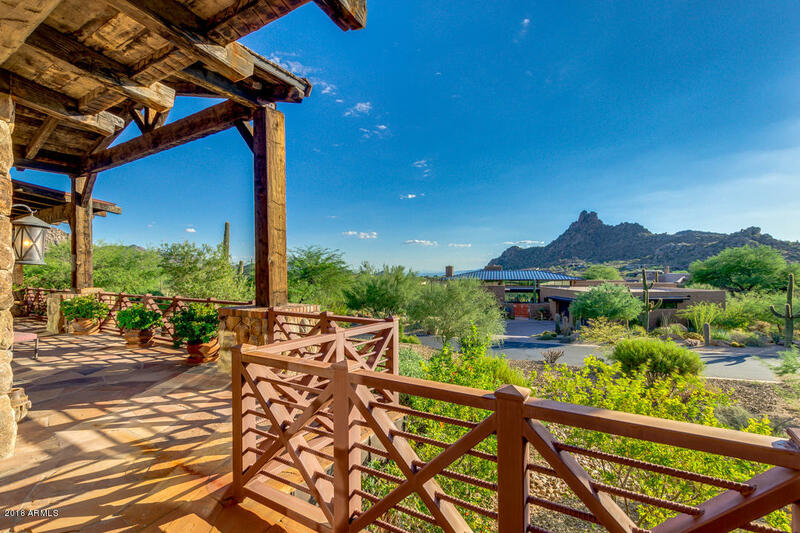 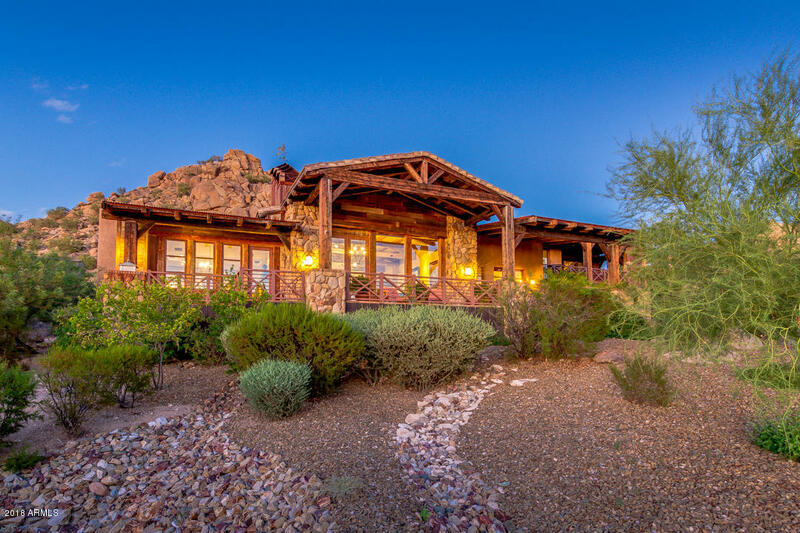 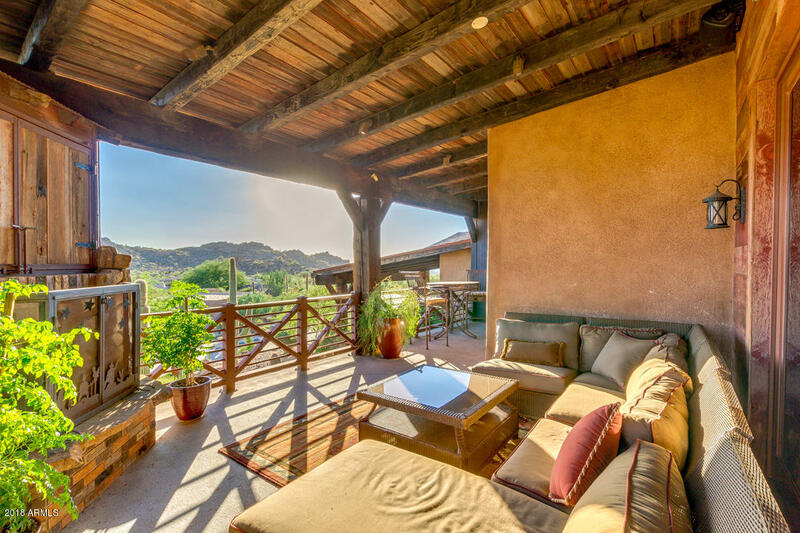 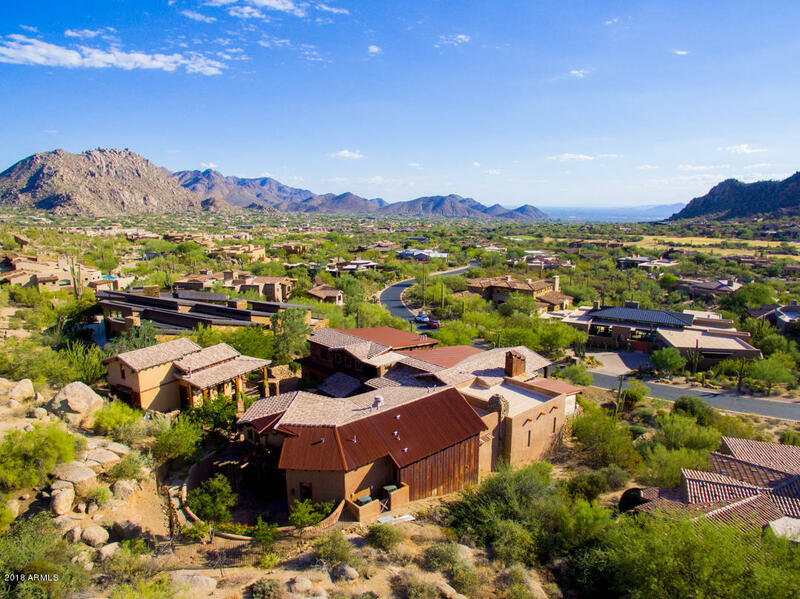 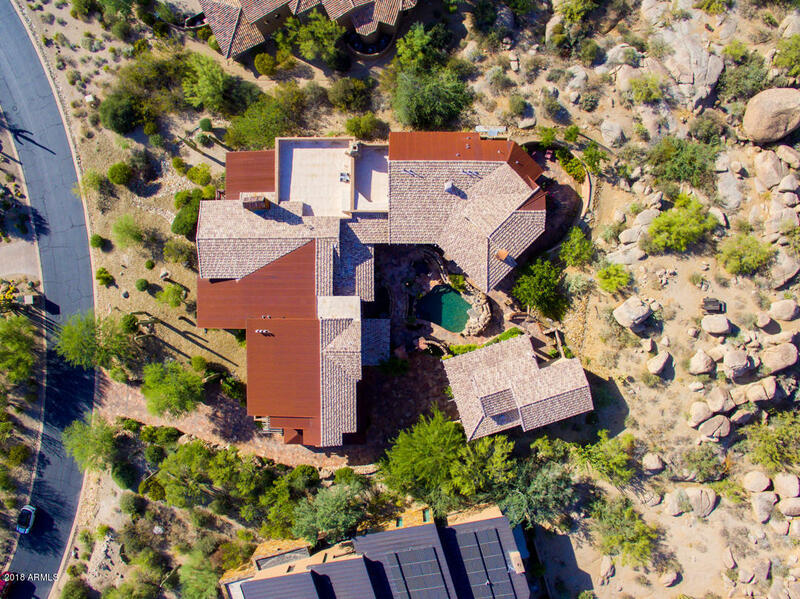 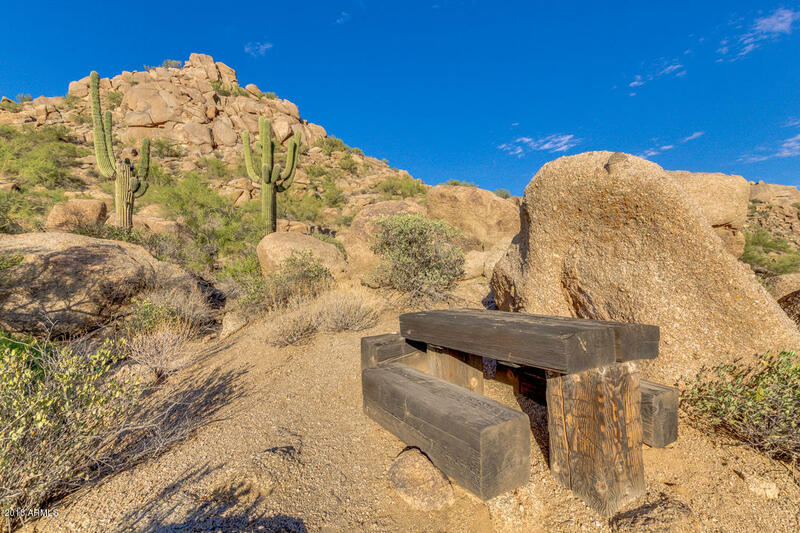 Nestled mountainside overlooking Estancia, this Arizona home was built with the finest reclaimed materials from around the world, including hundreds of 150-year-old barn beams, hand-carved doors from India, rusted corrugated metal, reclaimed barn wood siding & 100-year-old pine flooring. 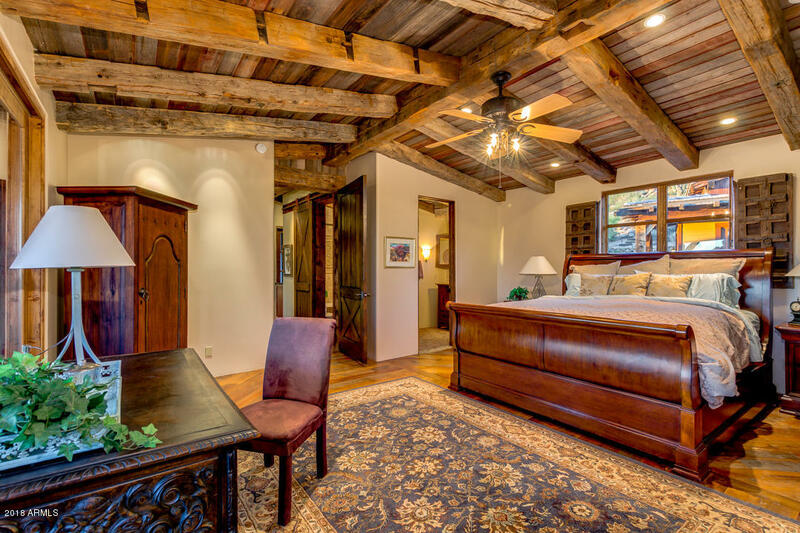 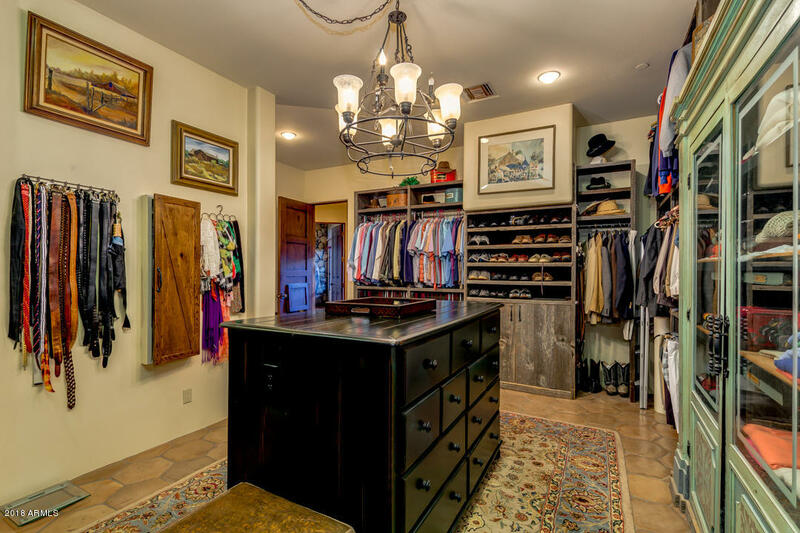 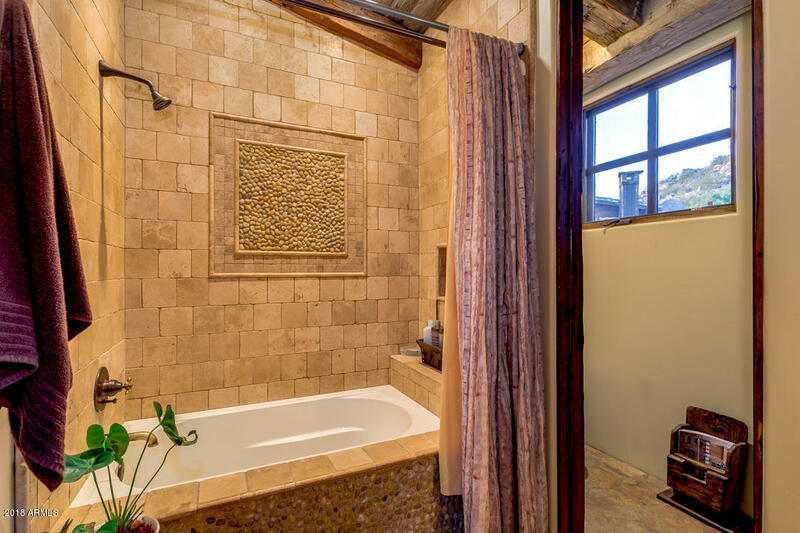 The main residence includes 2 master suites, plus a guest suite, office & media room. 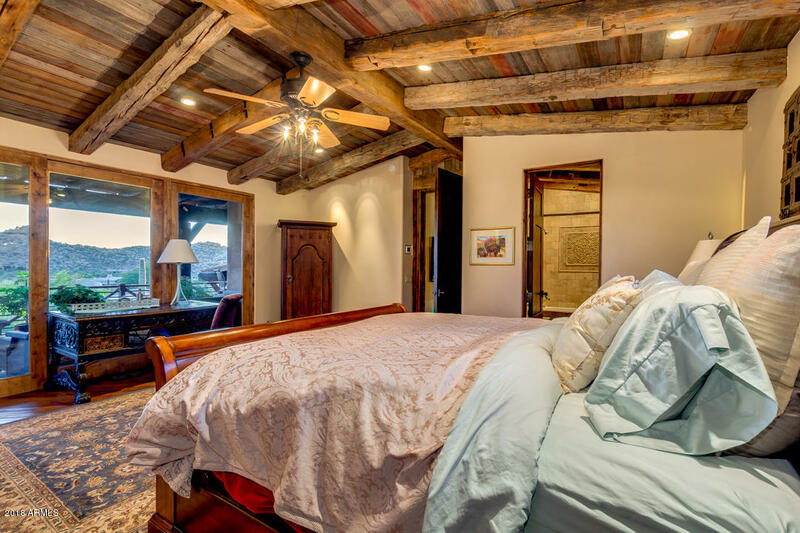 The separate guest house is situated next to a private hiking path and holds a living area, bedroom ensuite & large sleeping loft. 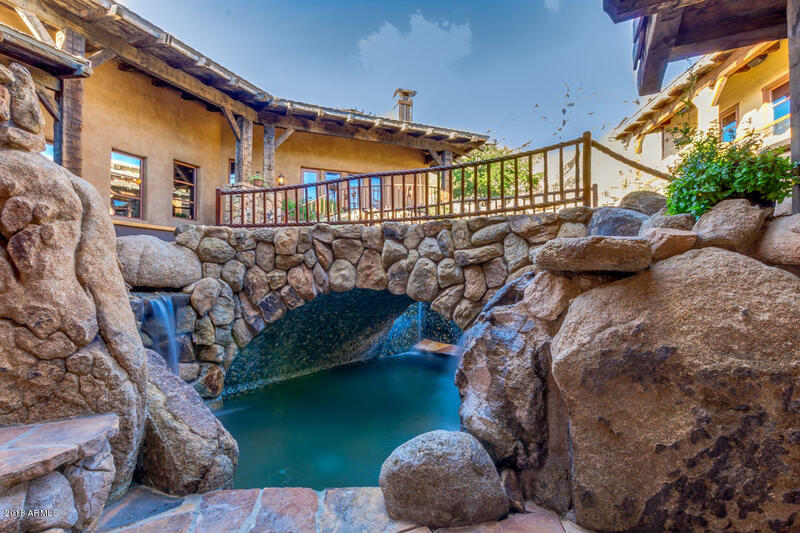 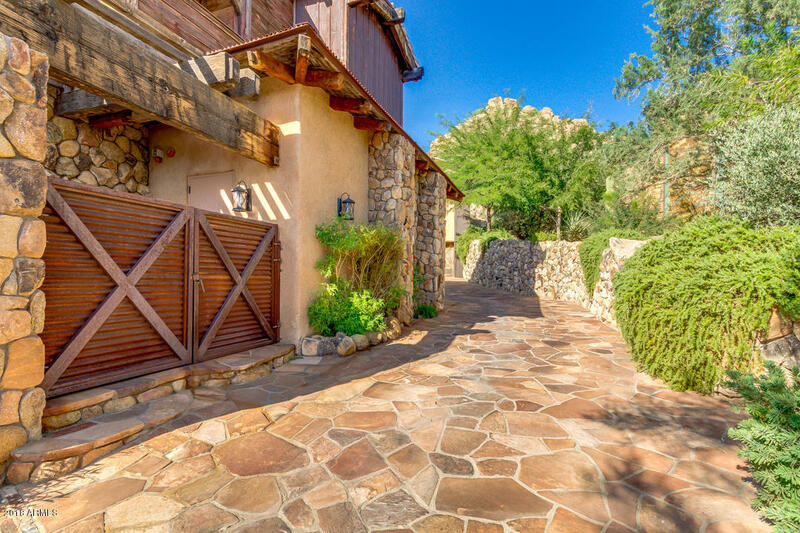 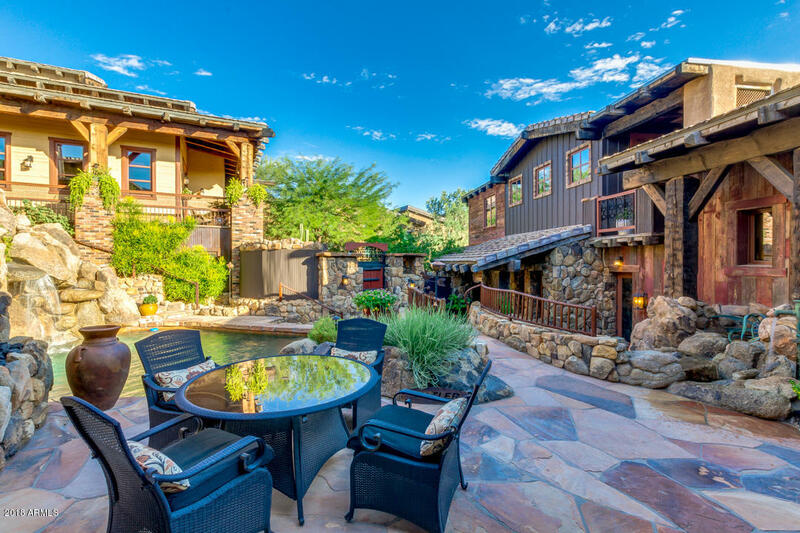 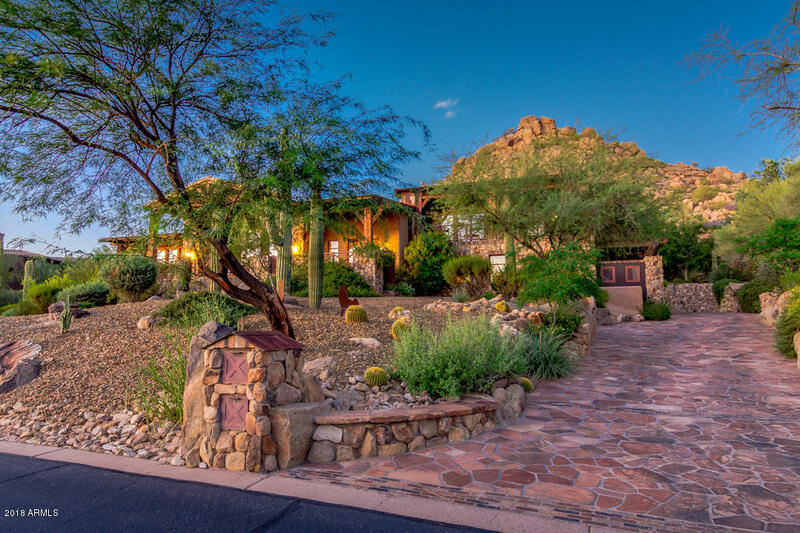 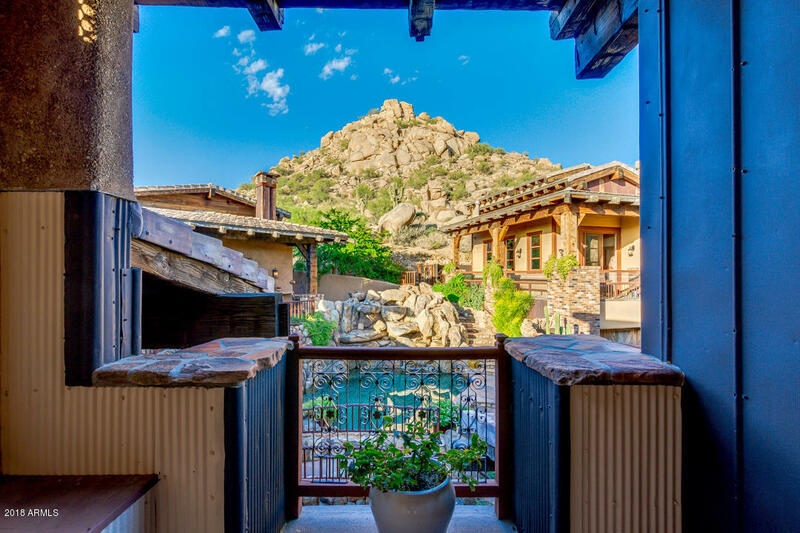 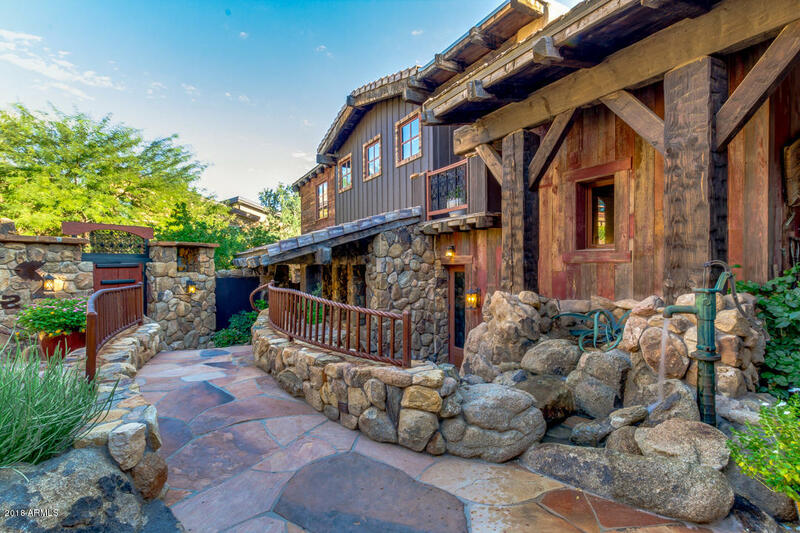 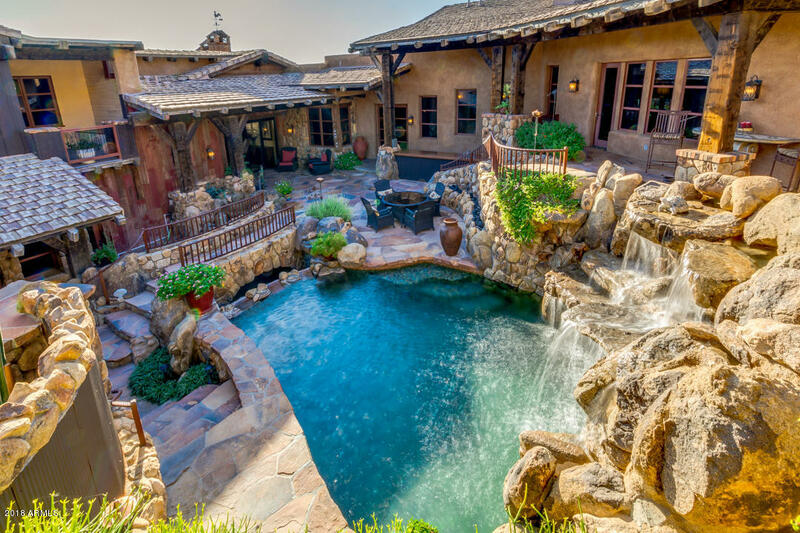 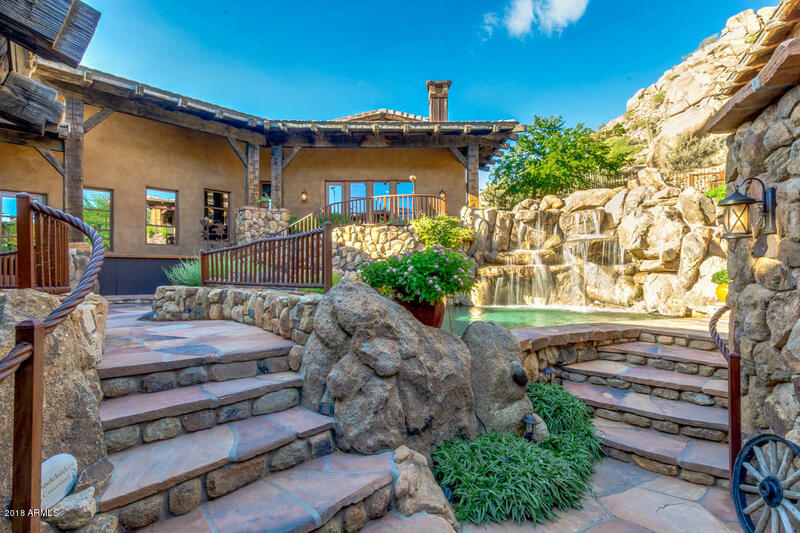 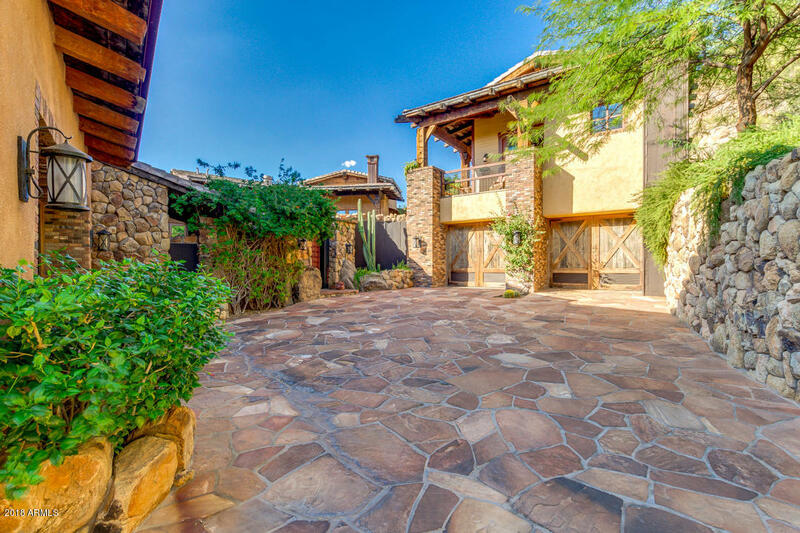 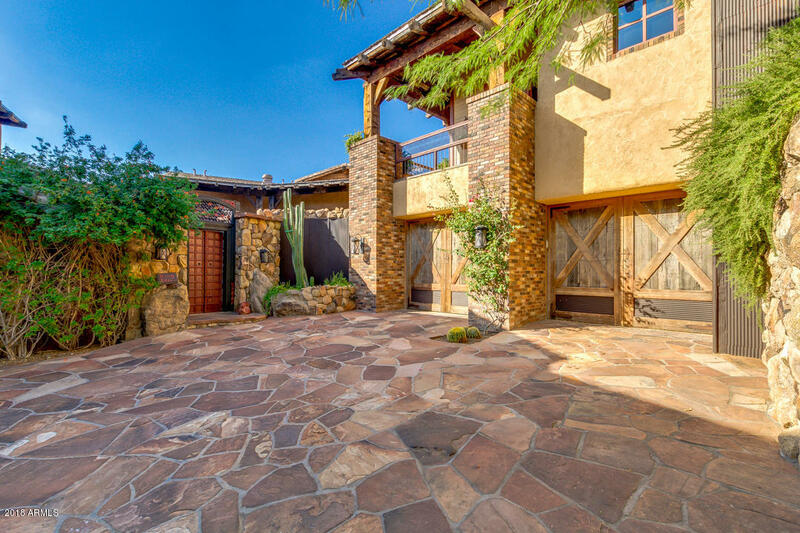 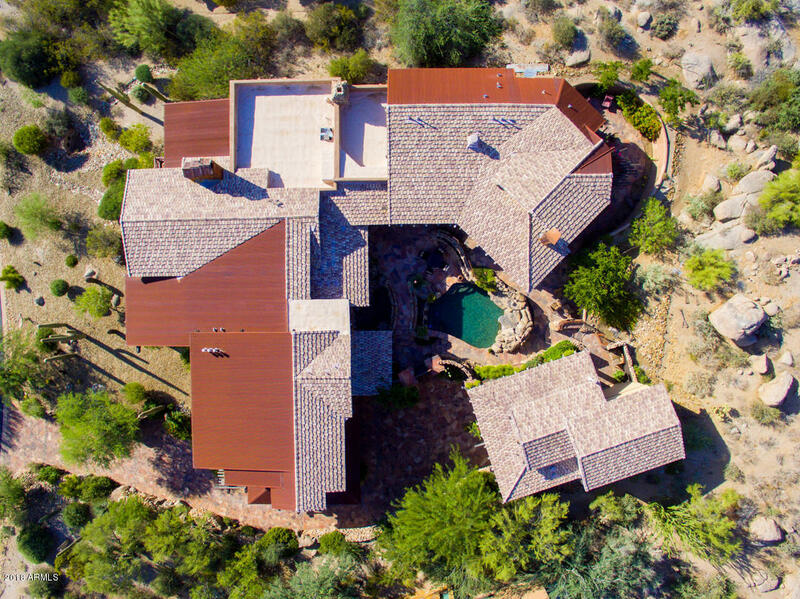 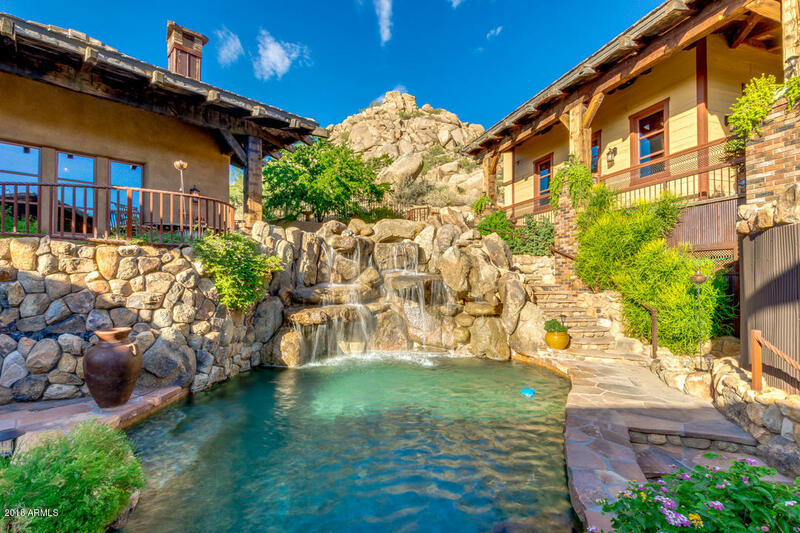 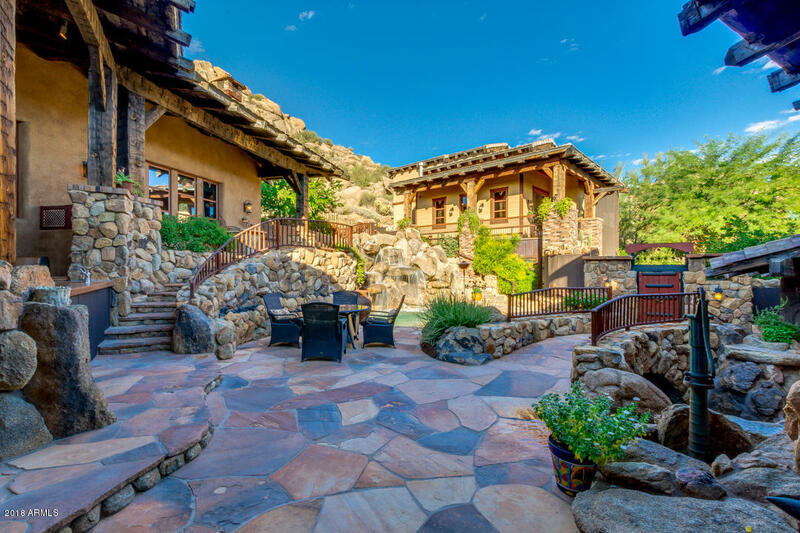 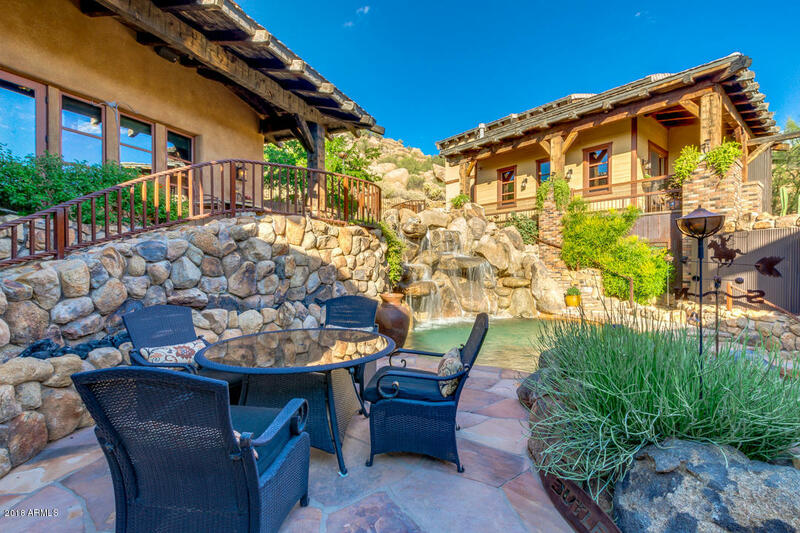 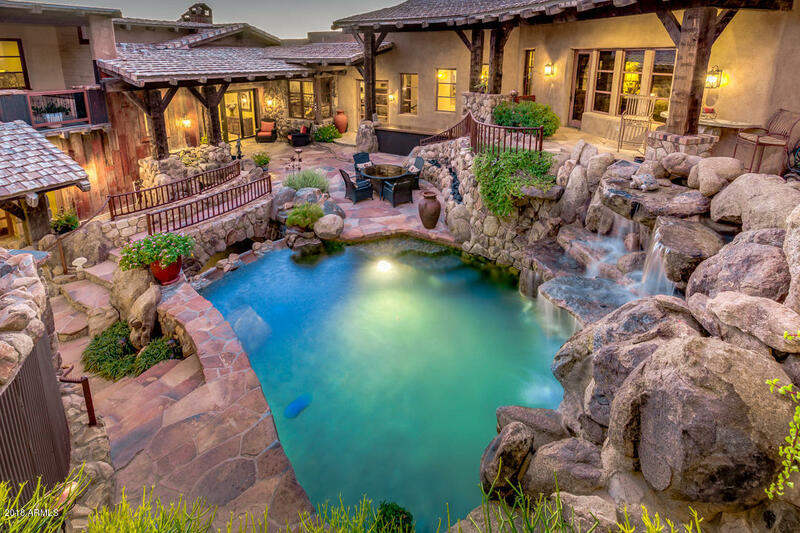 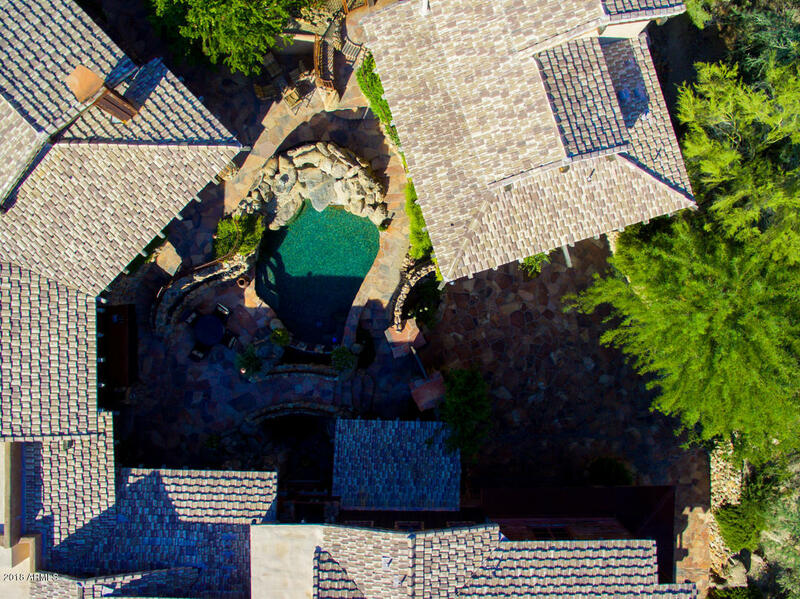 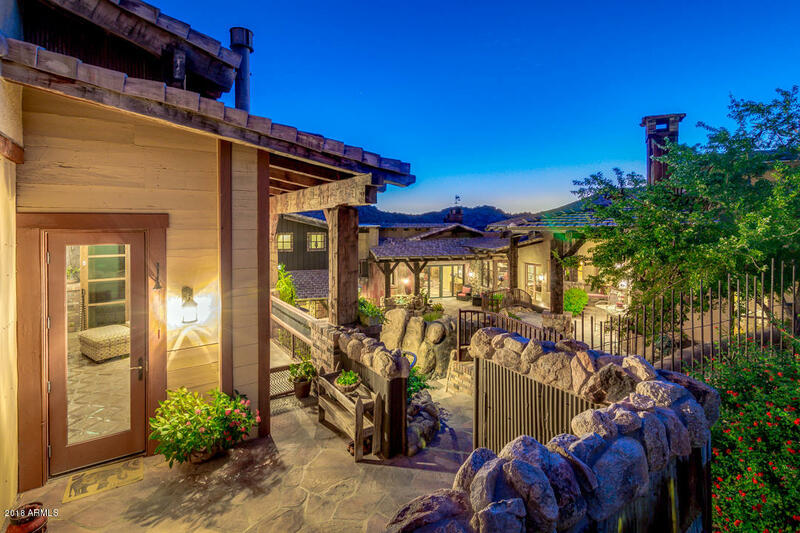 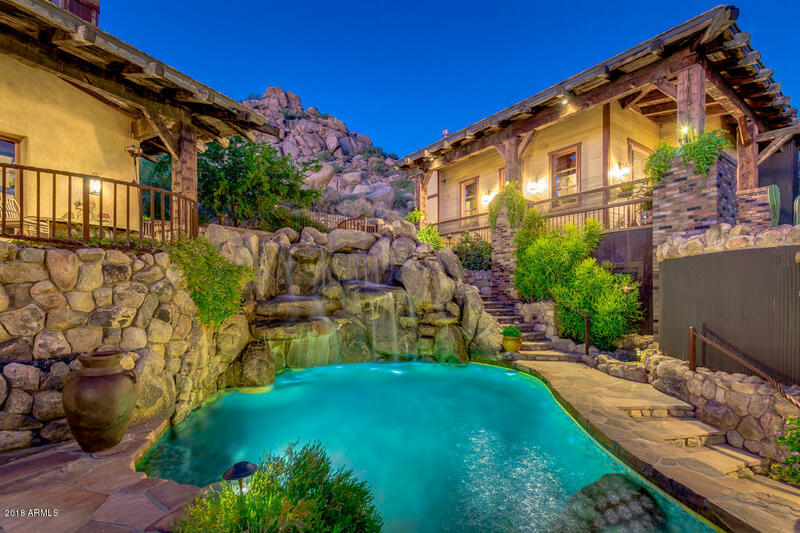 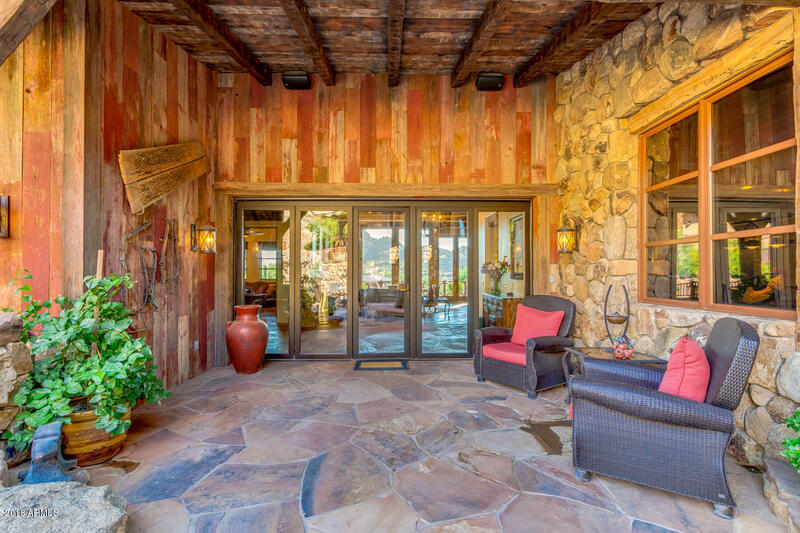 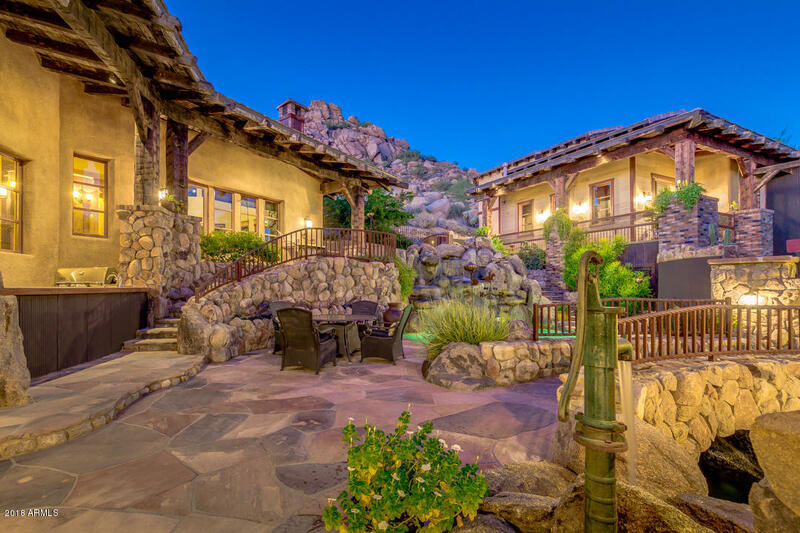 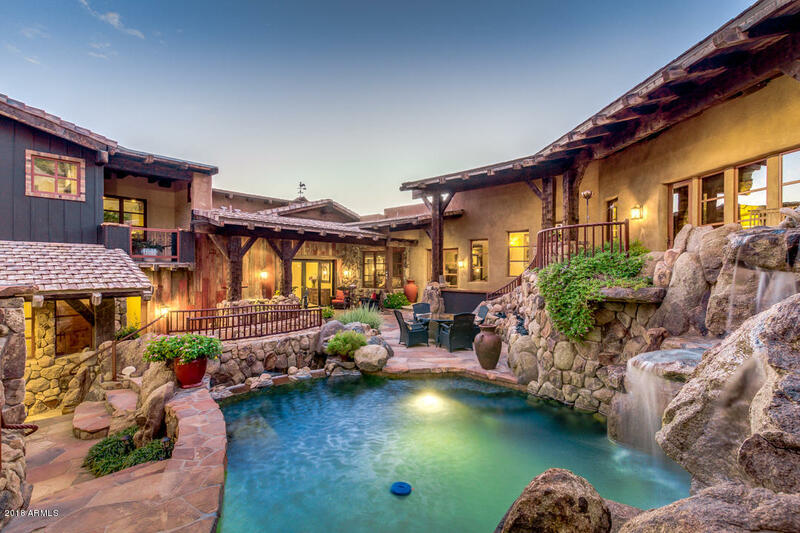 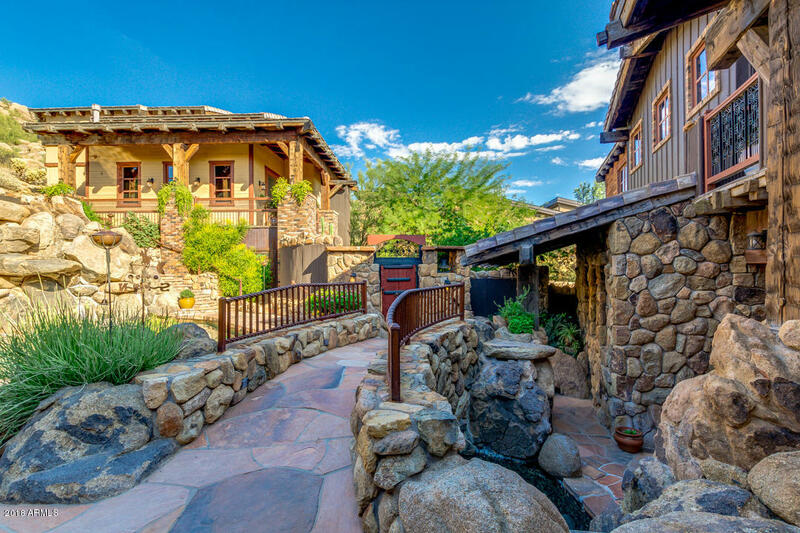 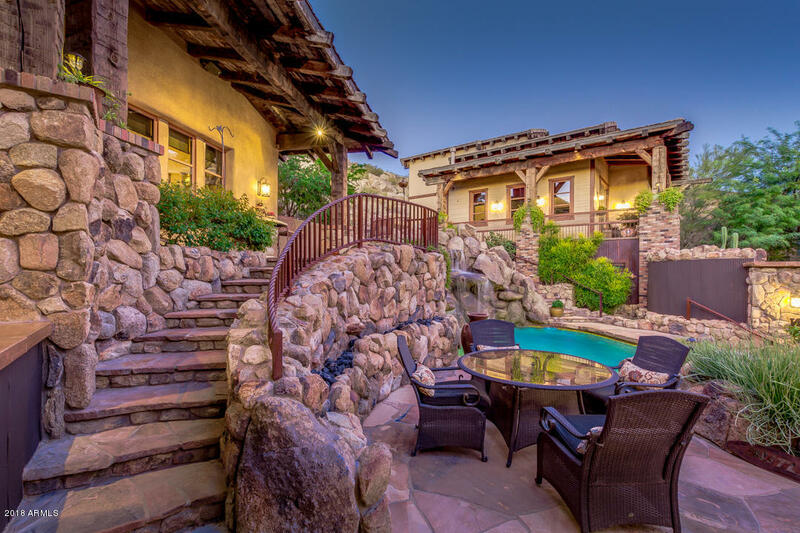 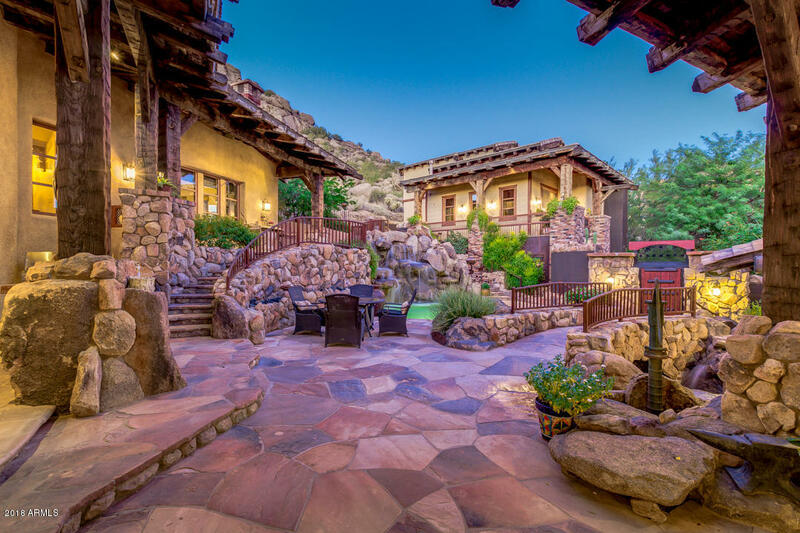 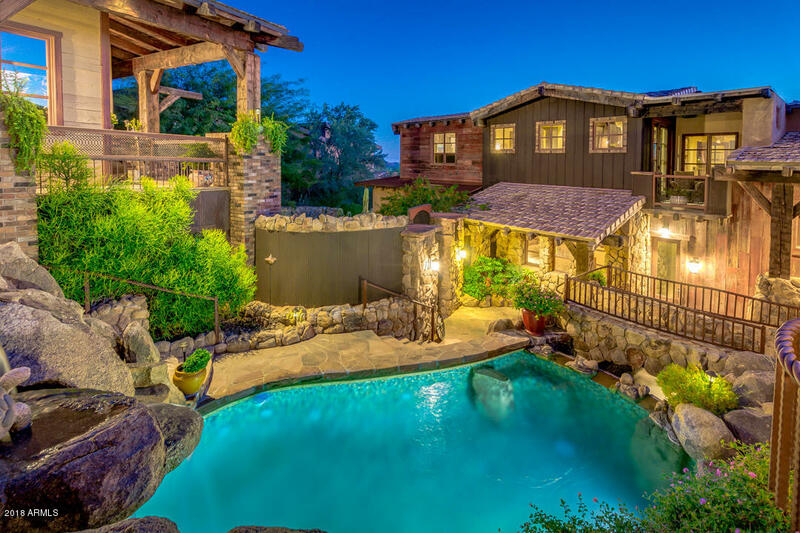 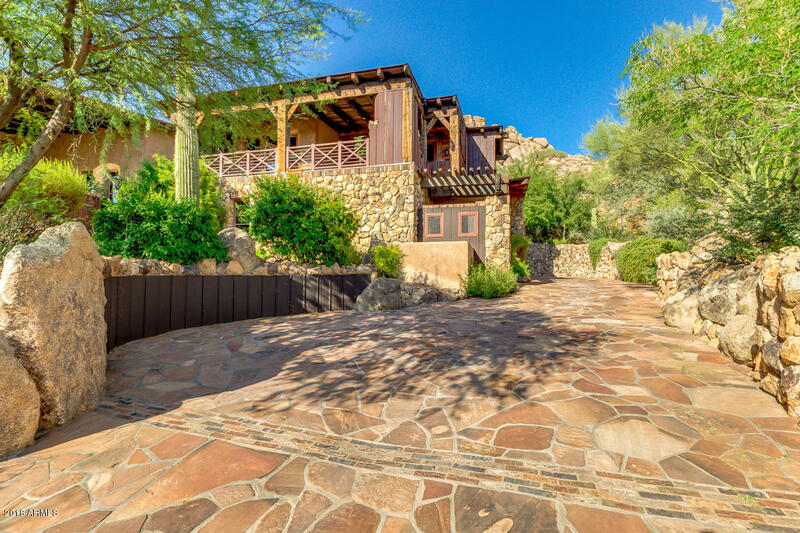 The dramatic courtyard entrance leads to a bridge over the pebble-lined pool, creating an entertaining oasis that boasts cascading waterfalls, stacked boulders, Sedona flagstone & multiple fire features. 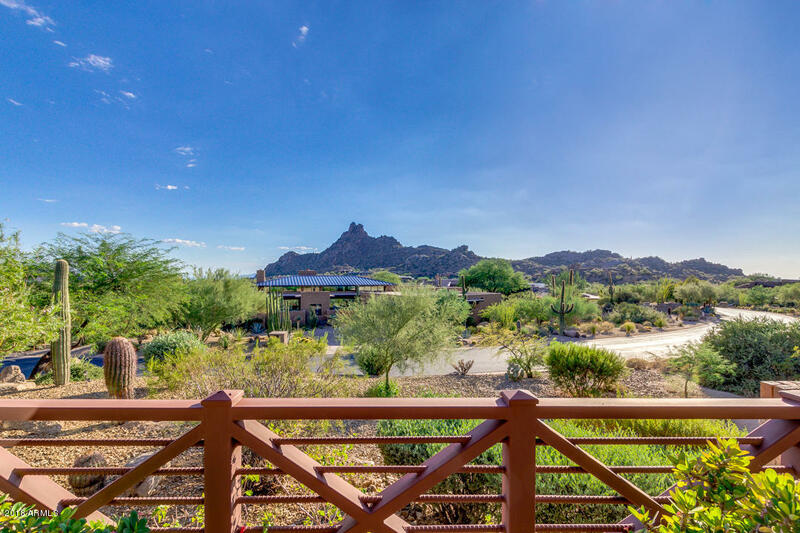 From Pima Rd, head east on Dynamite Blvd for approximately one mile. 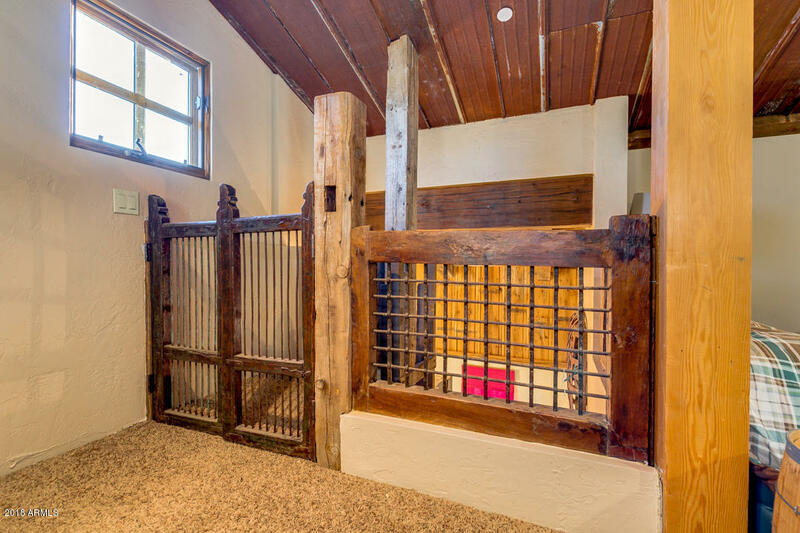 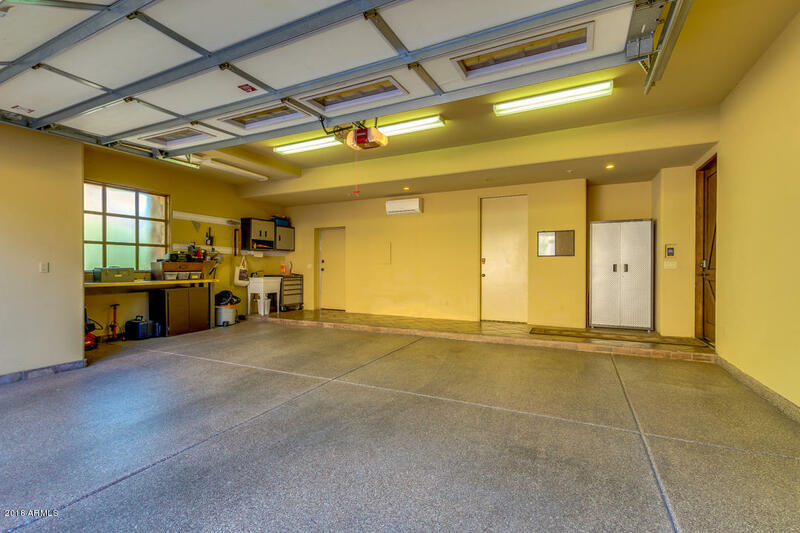 The Estancia gate entrance is on the south side of the road on N 97th Pl.